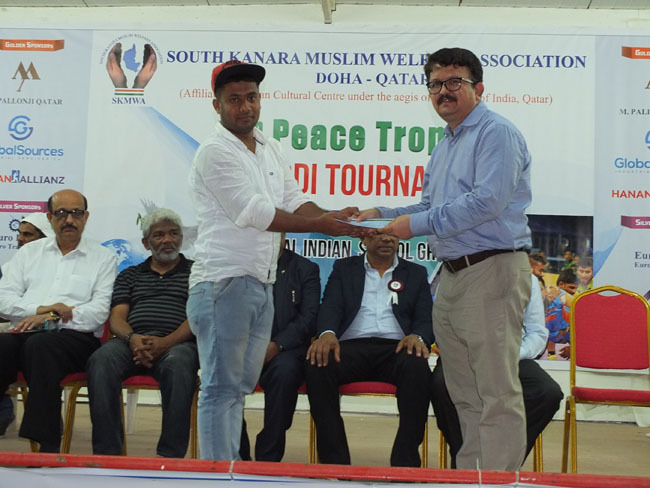 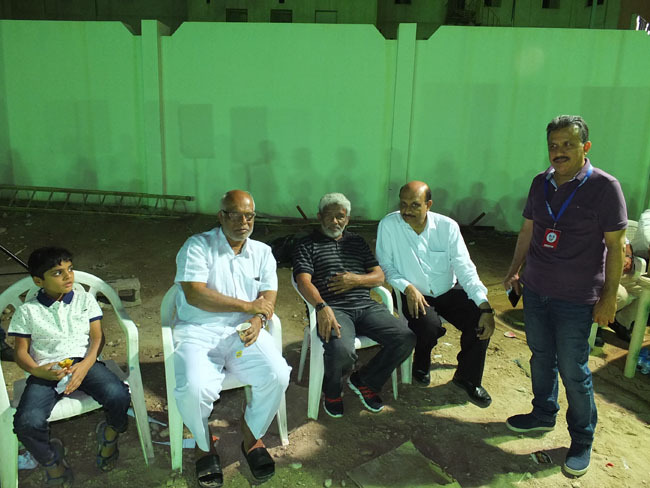 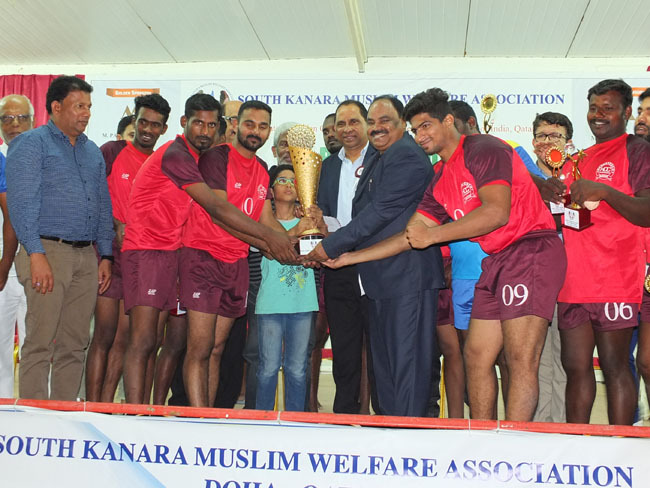 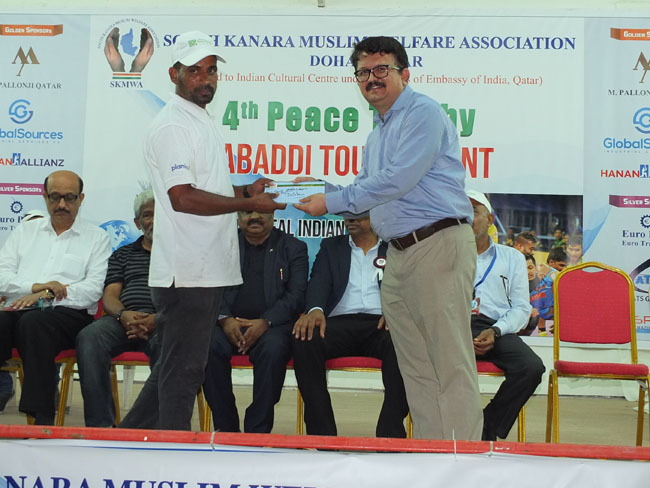 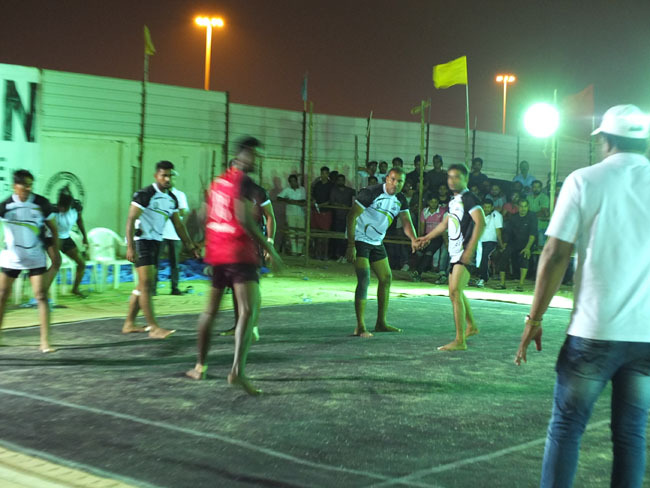 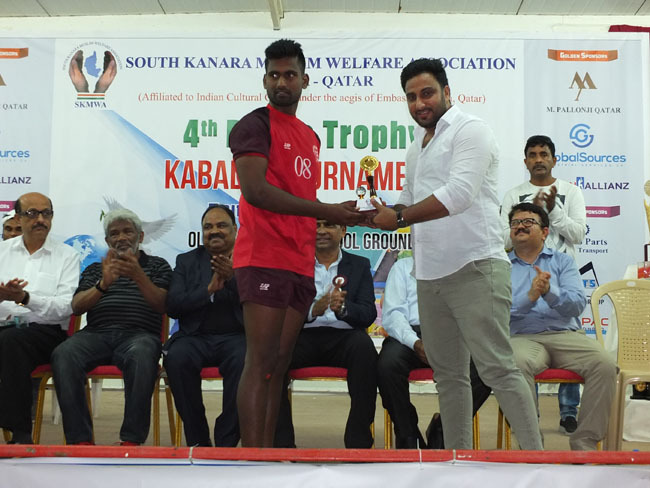 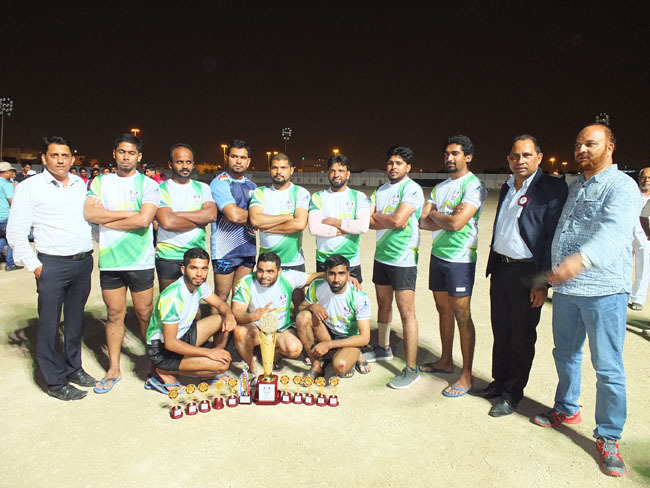 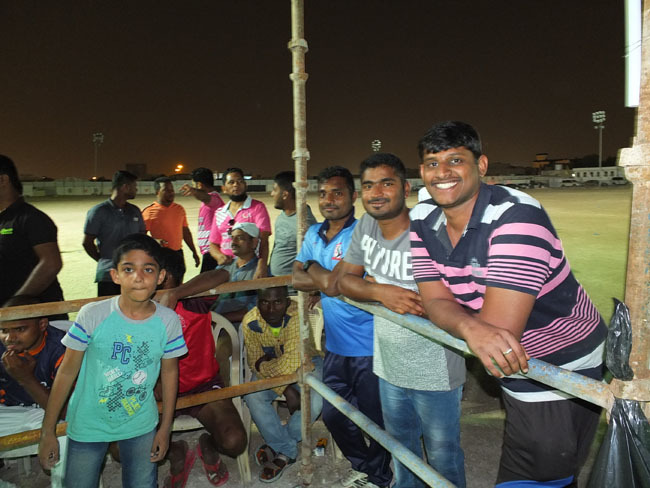 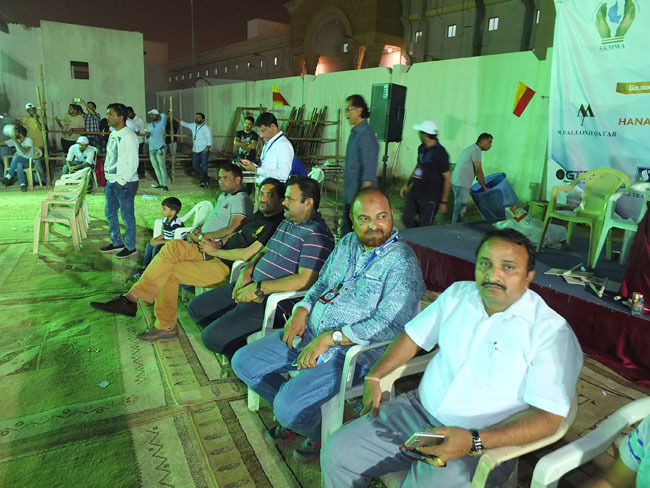 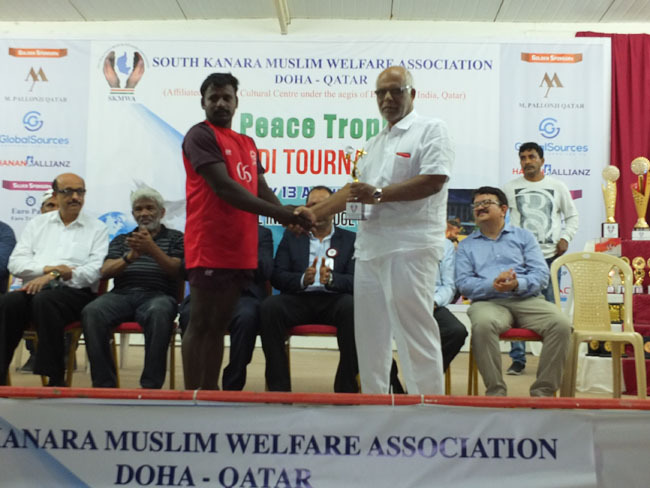 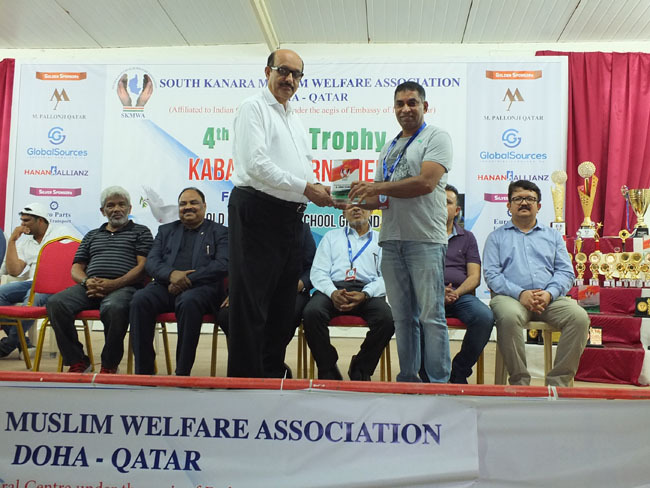 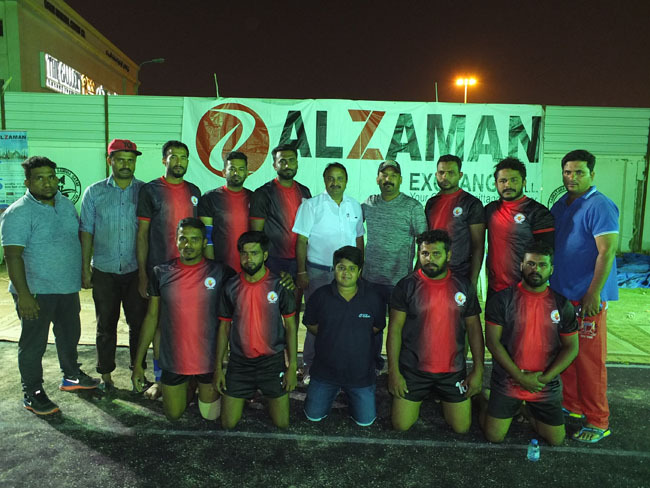 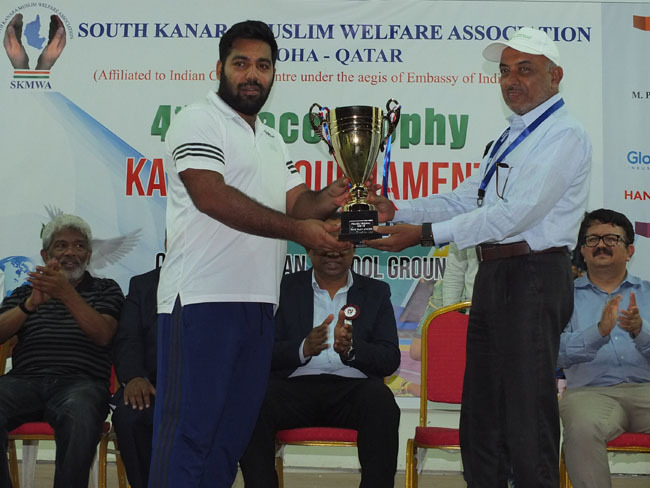 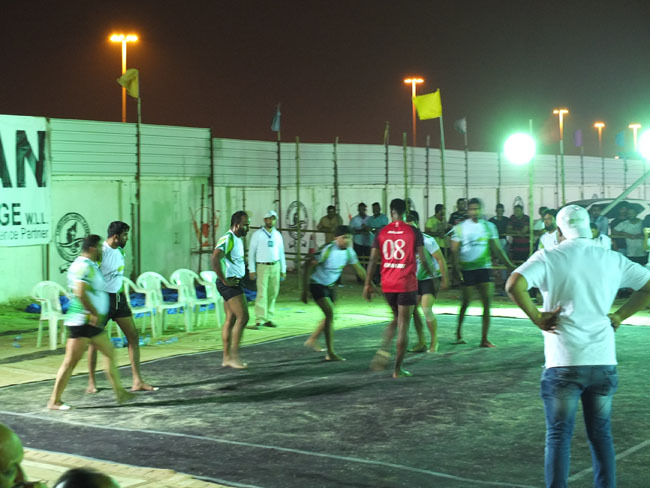 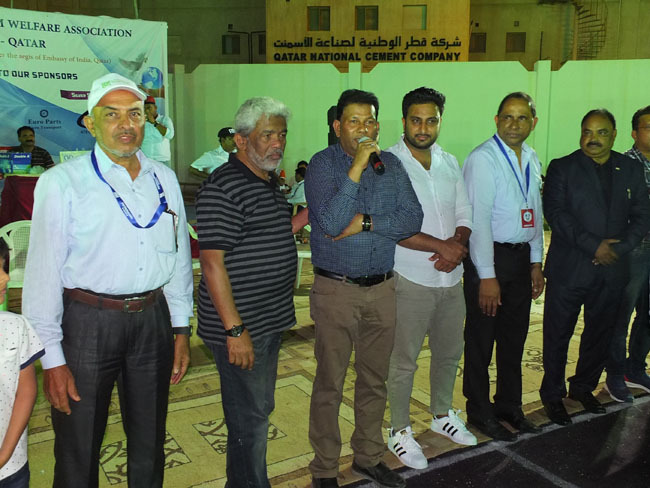 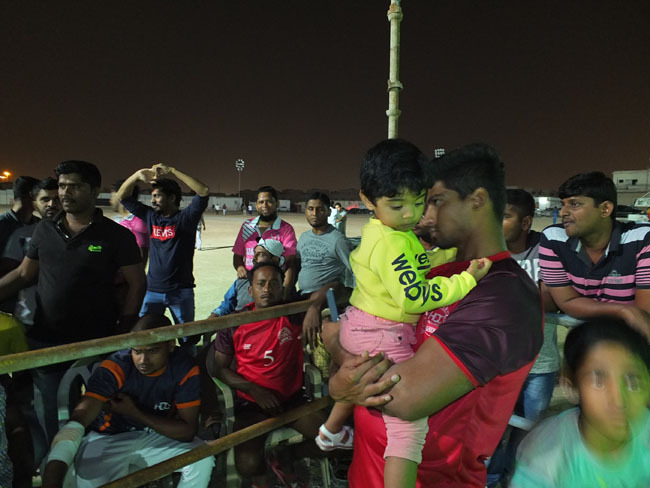 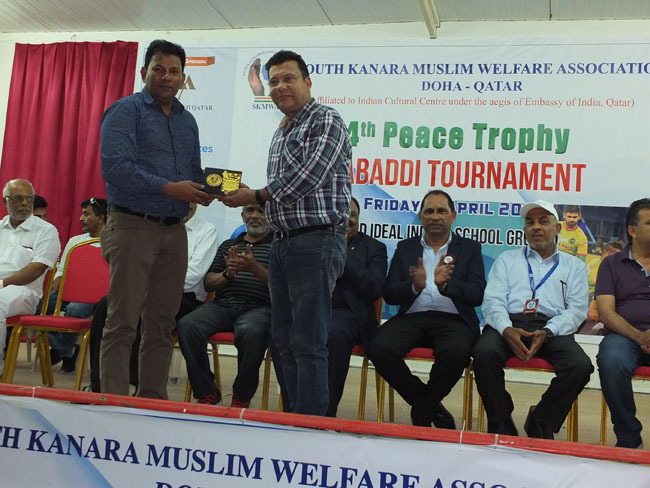 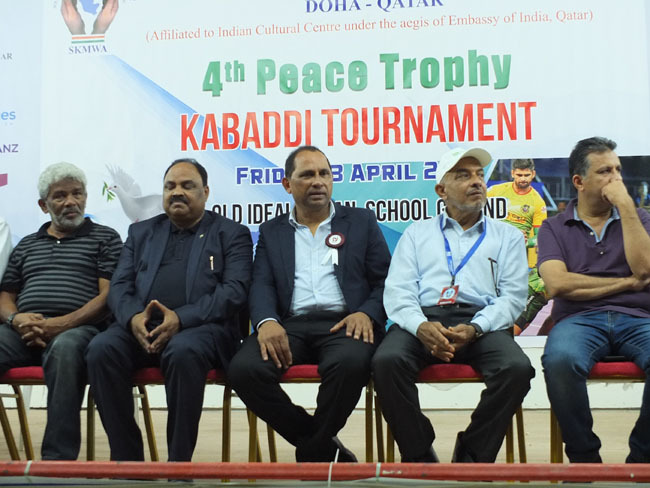 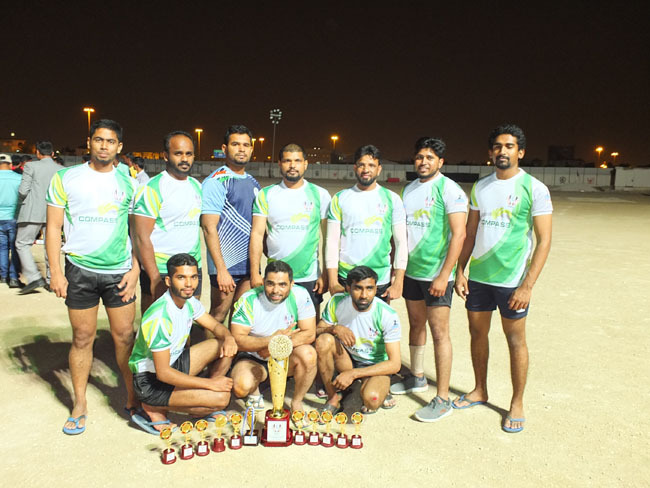 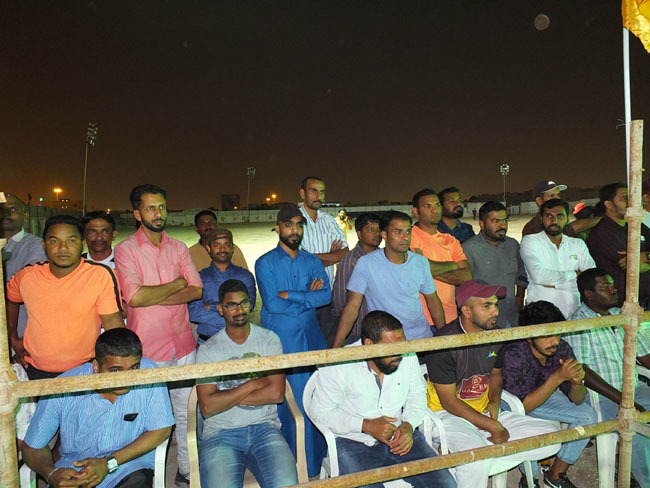 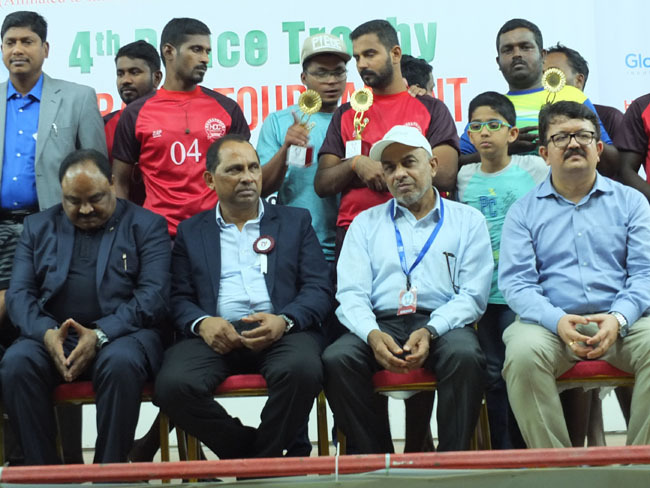 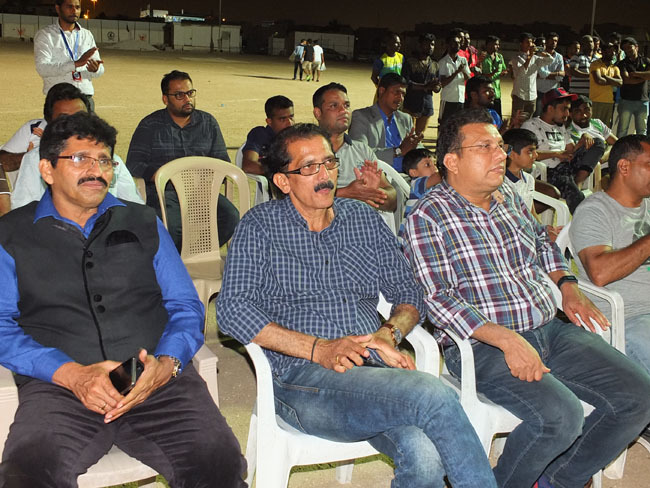 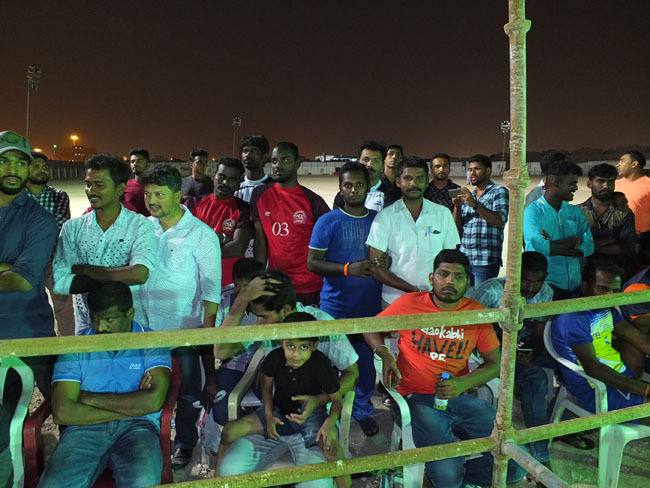 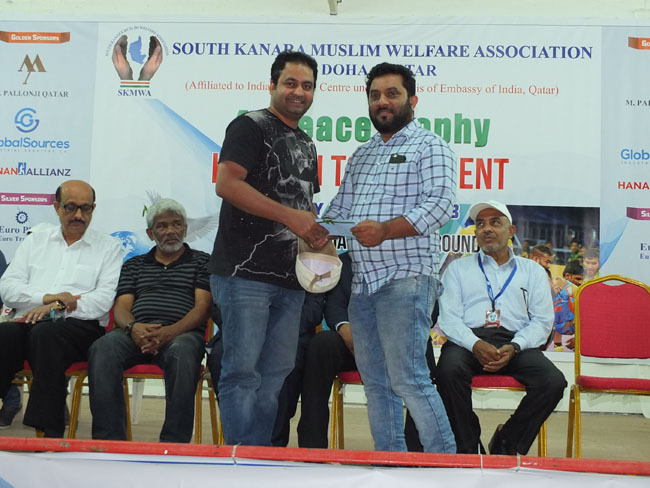 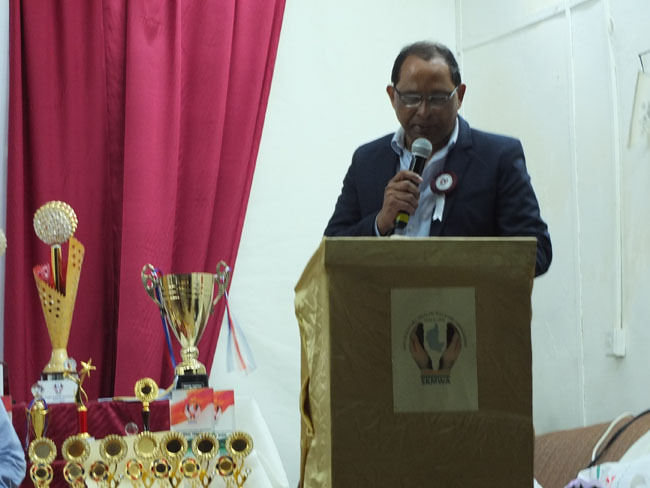 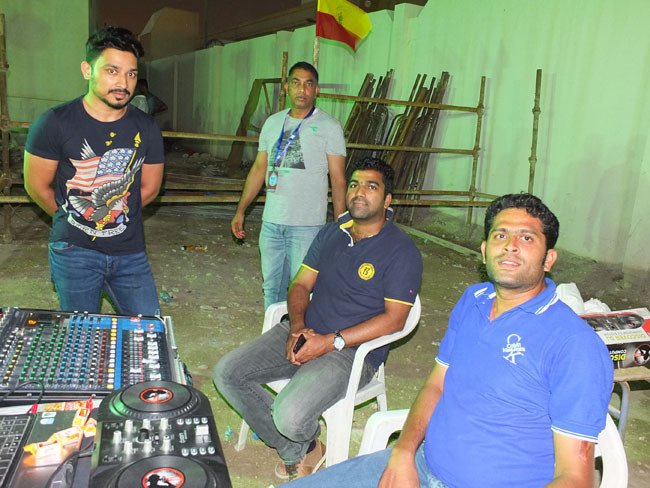 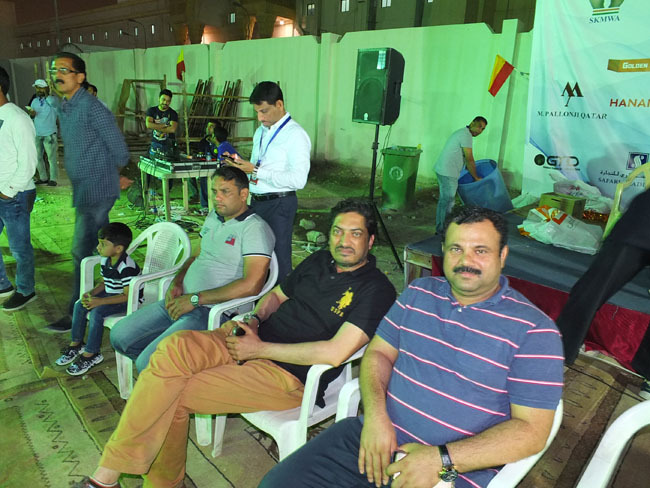 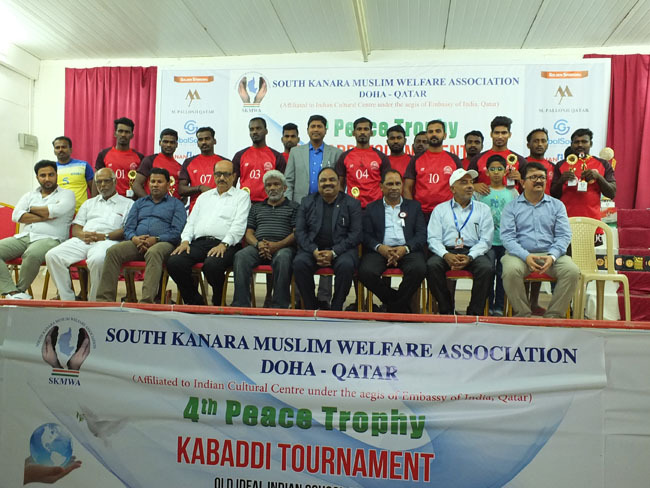 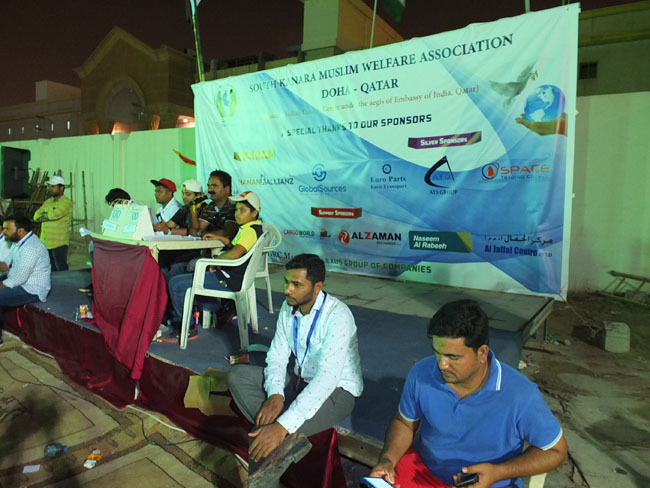 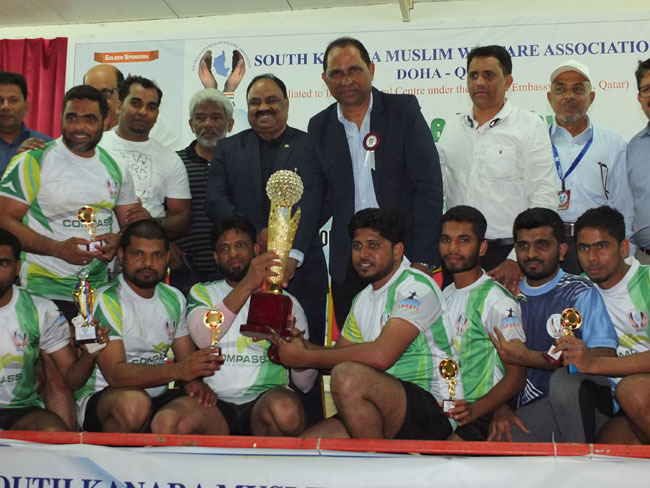 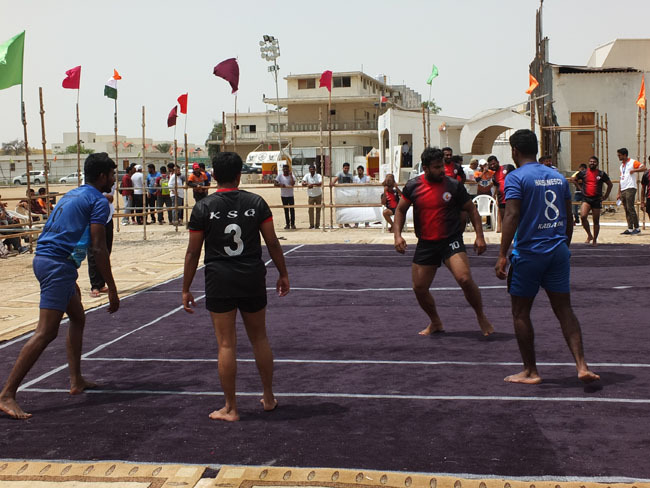 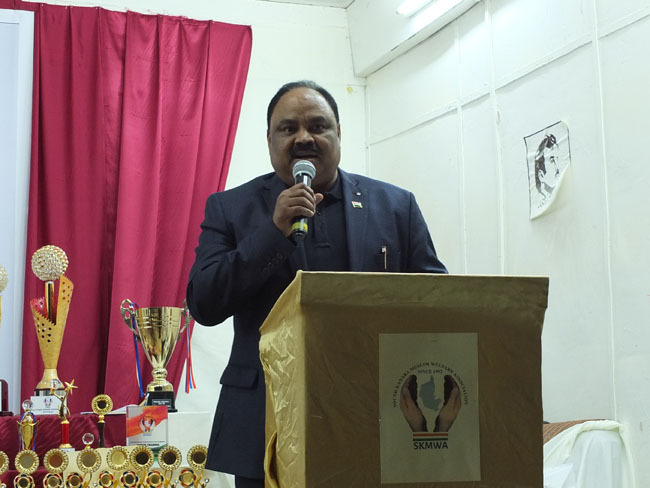 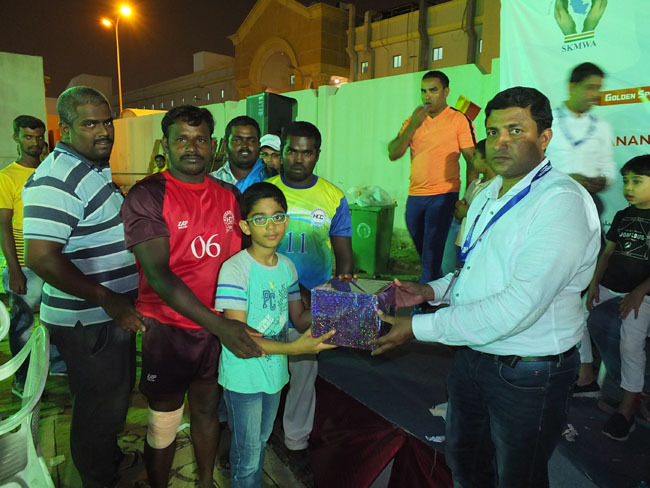 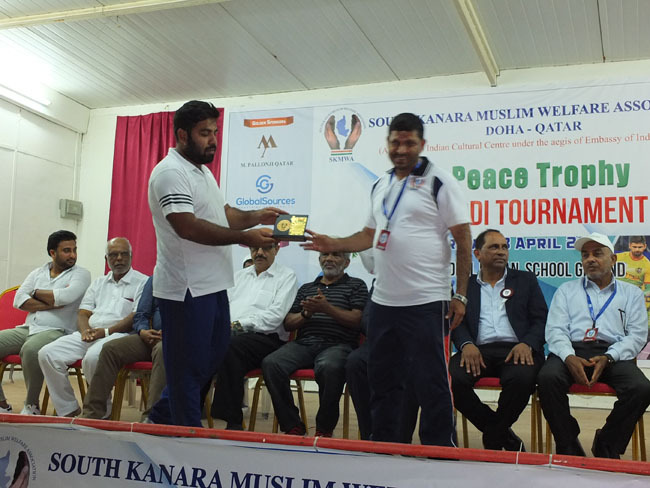 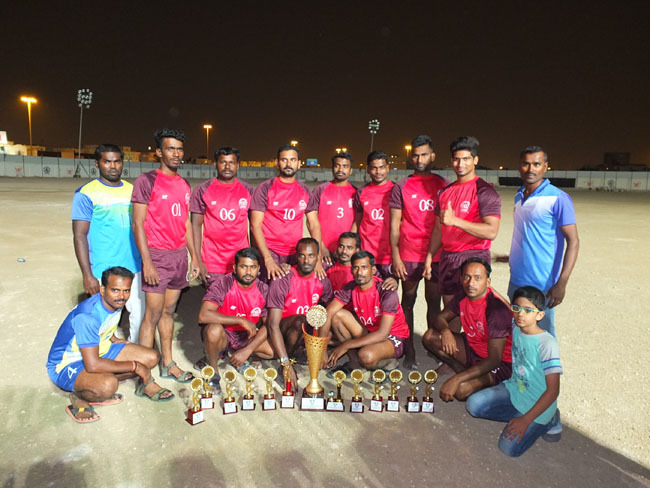 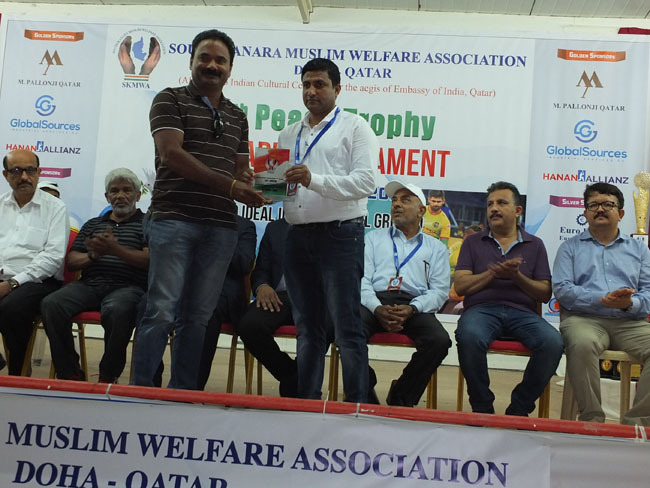 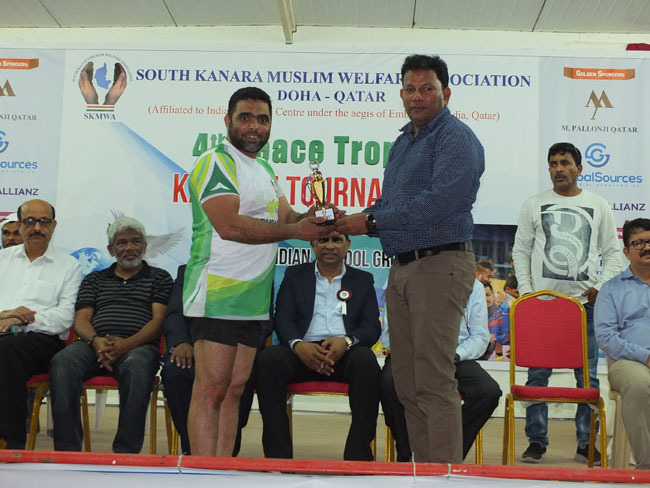 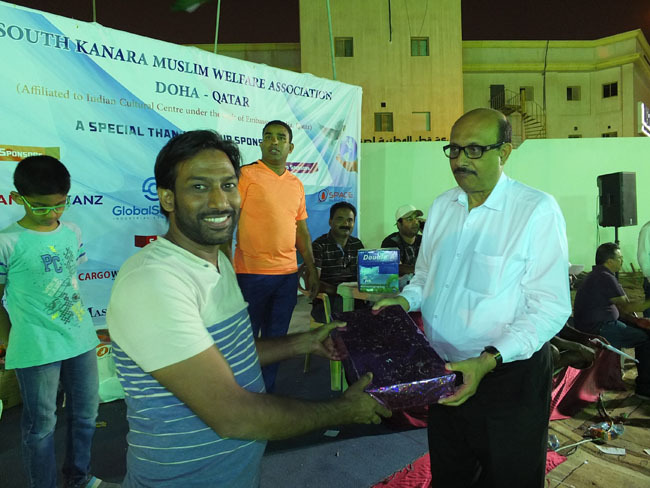 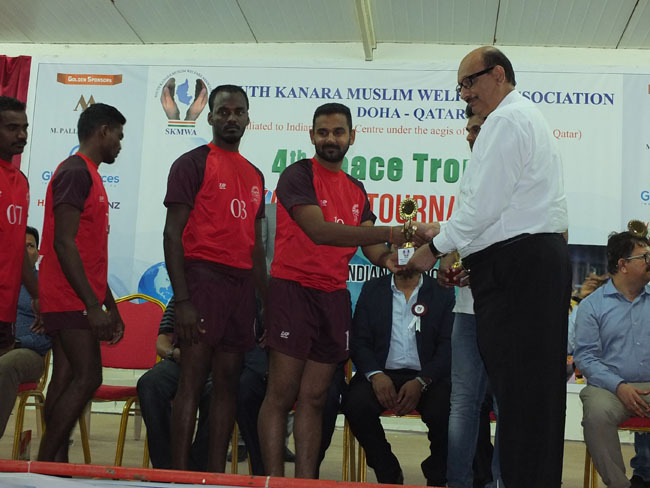 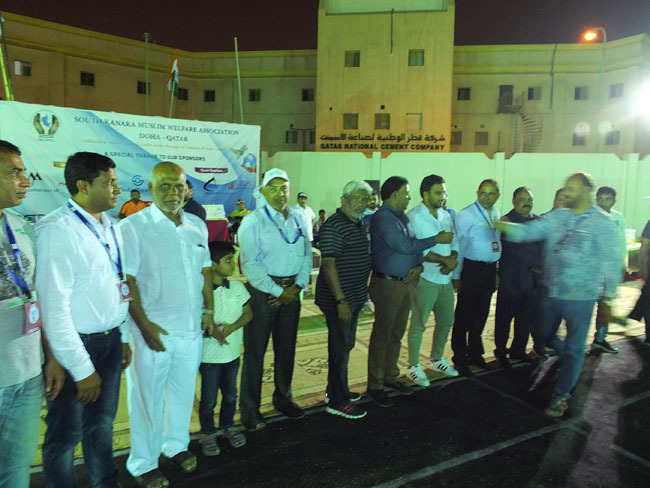 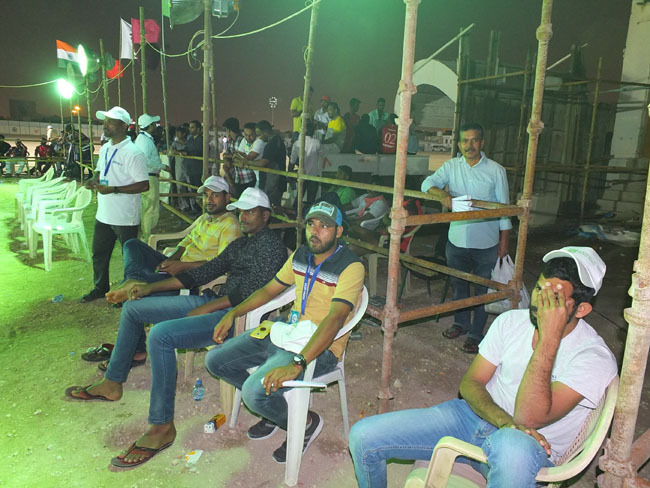 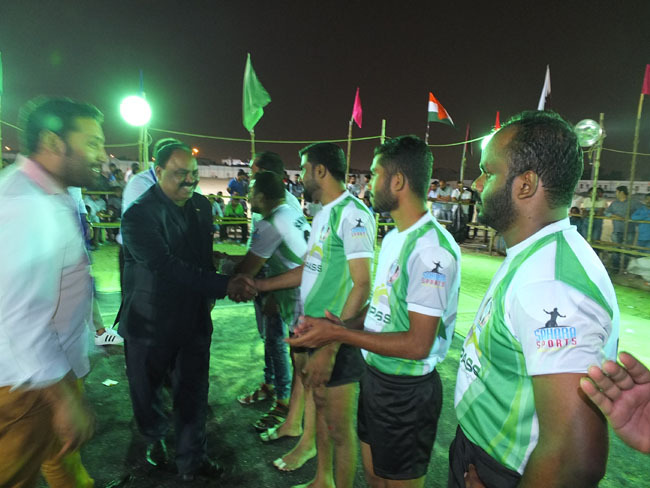 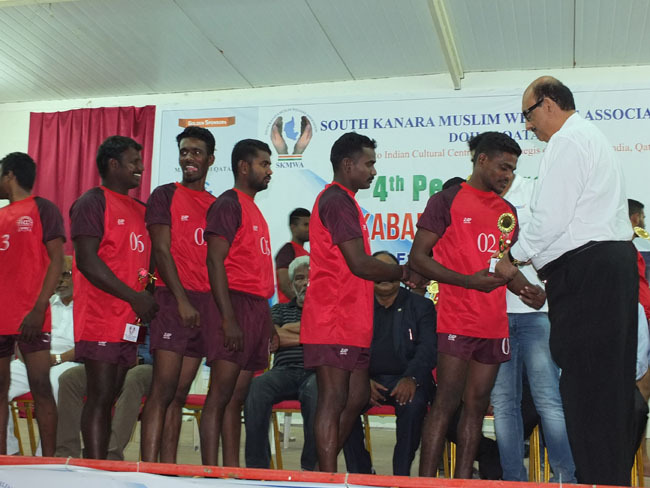 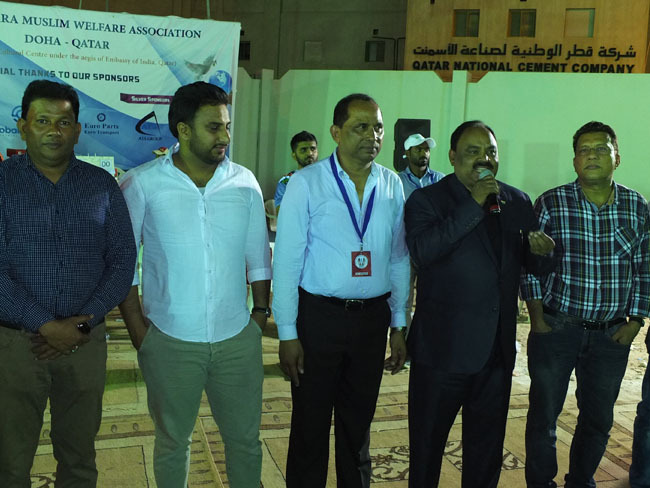 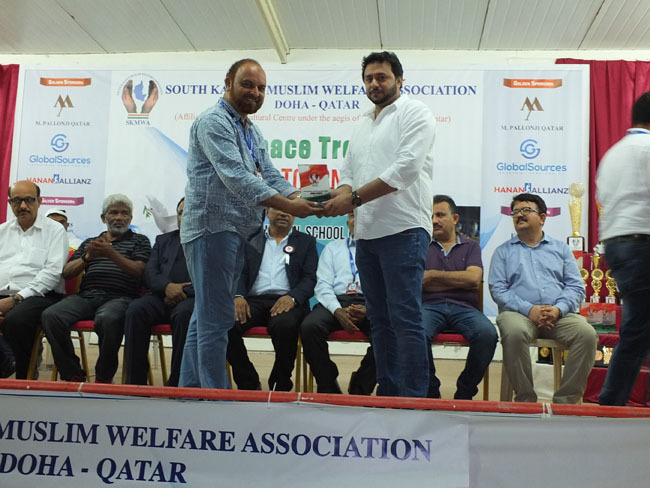 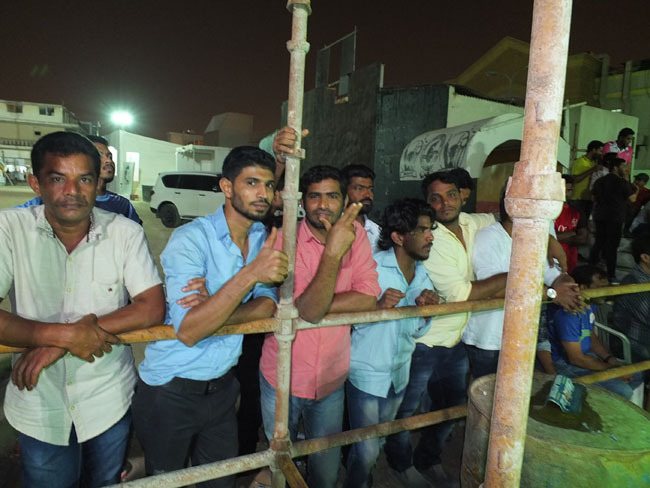 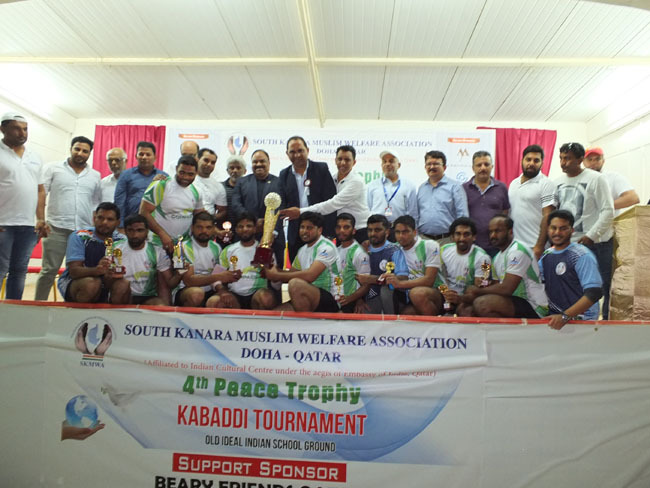 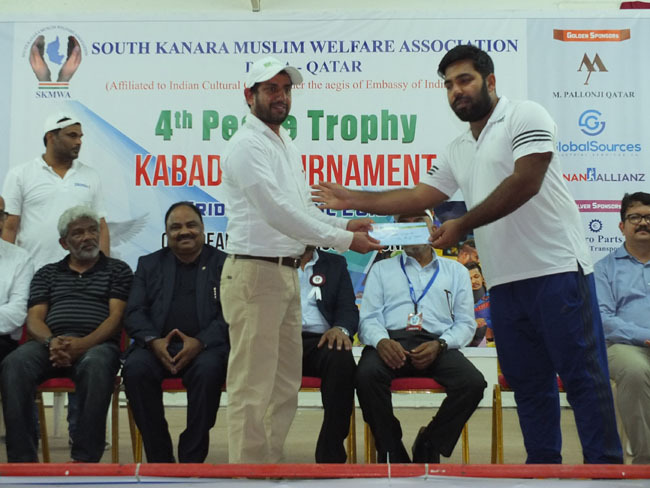 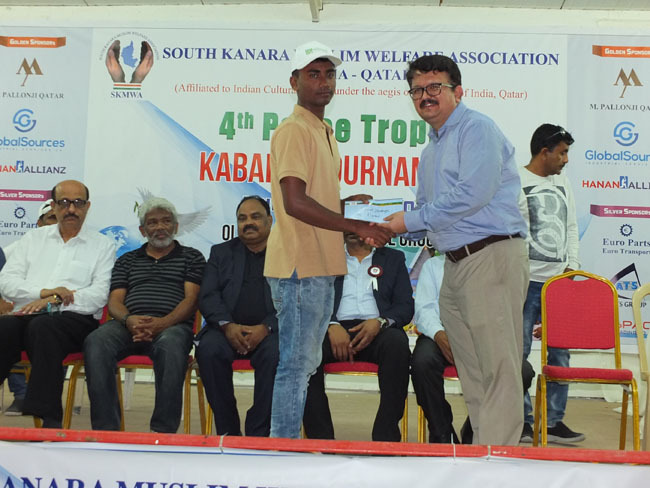 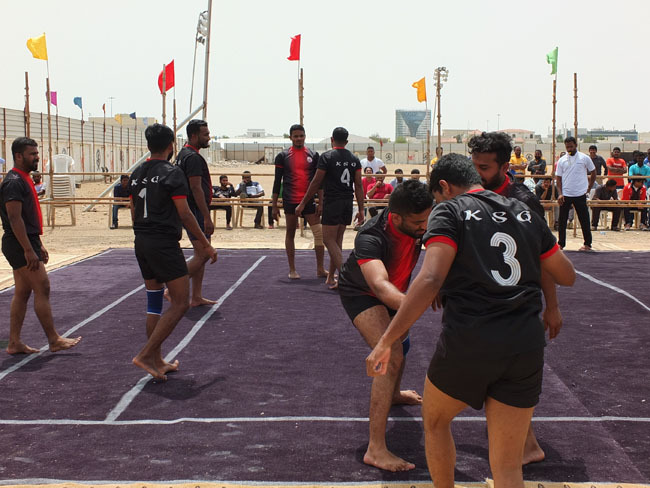 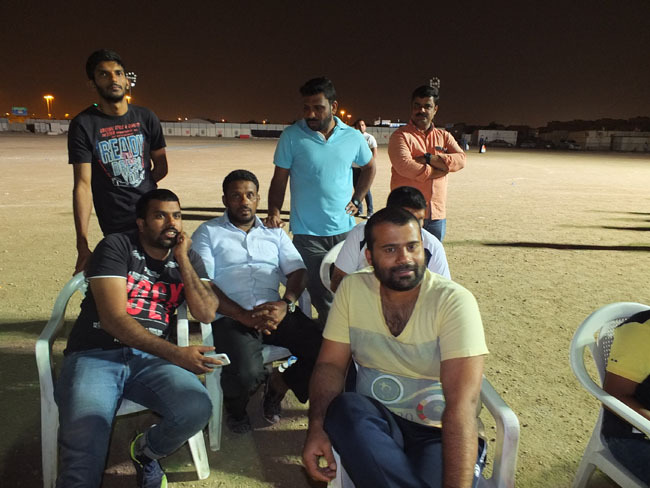 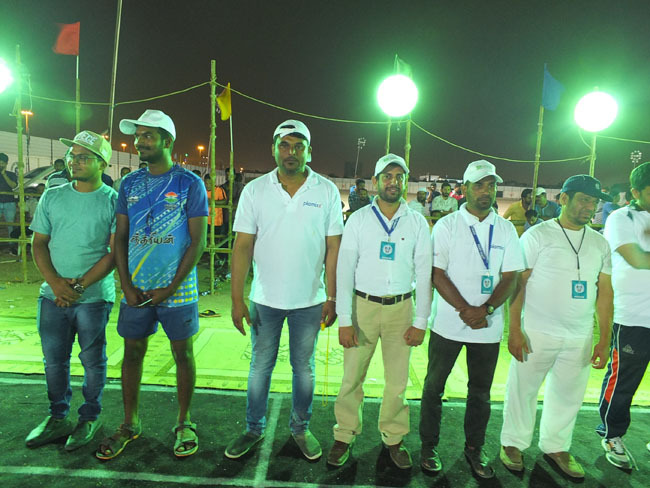 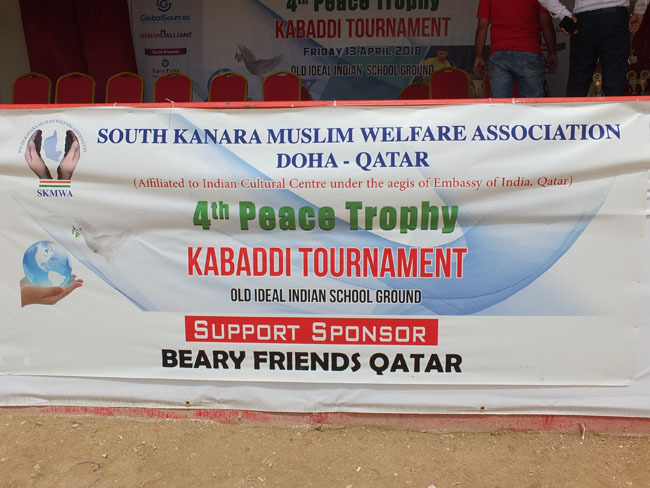 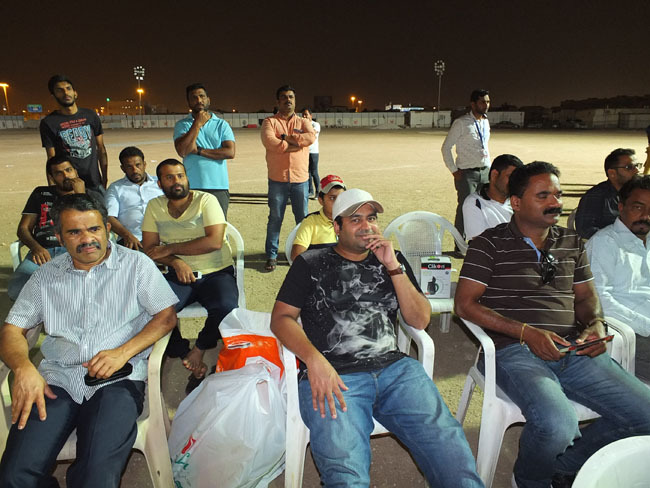 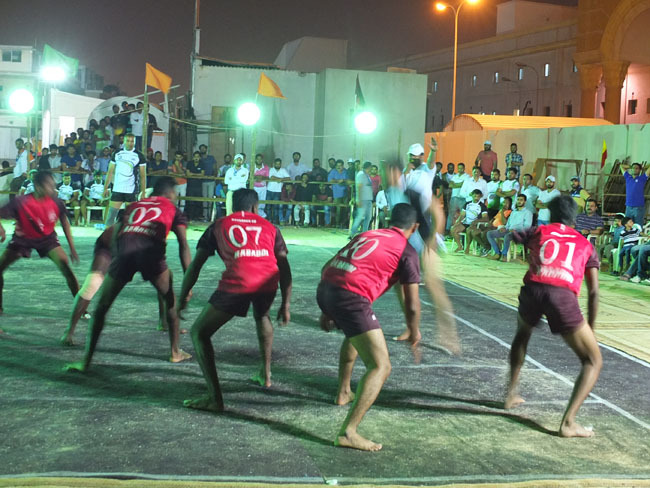 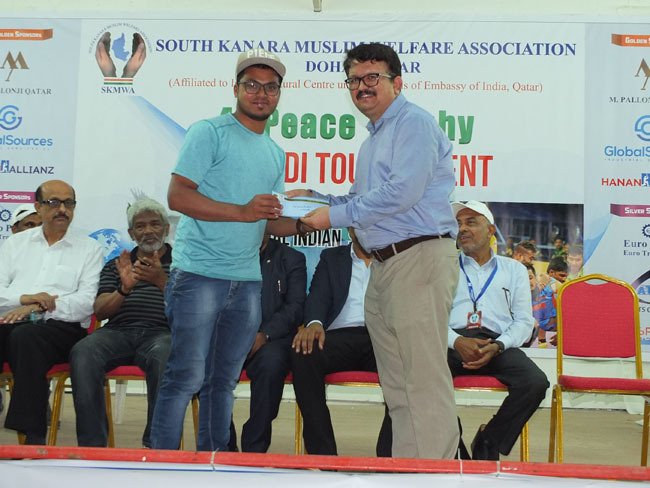 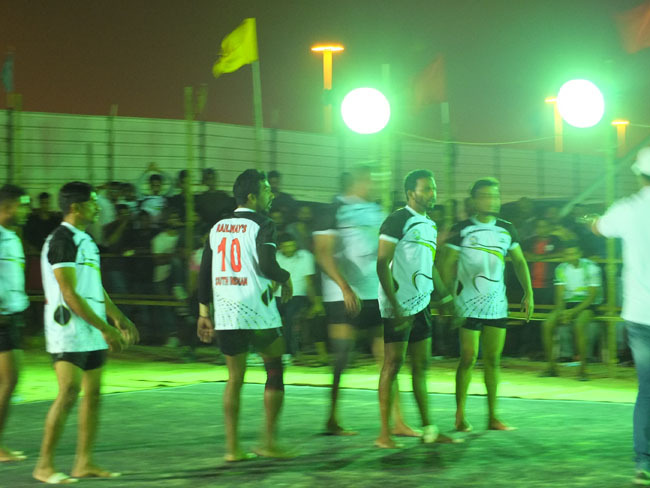 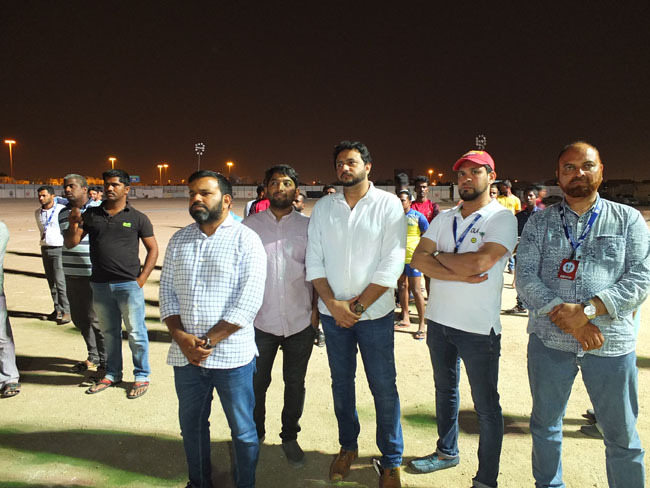 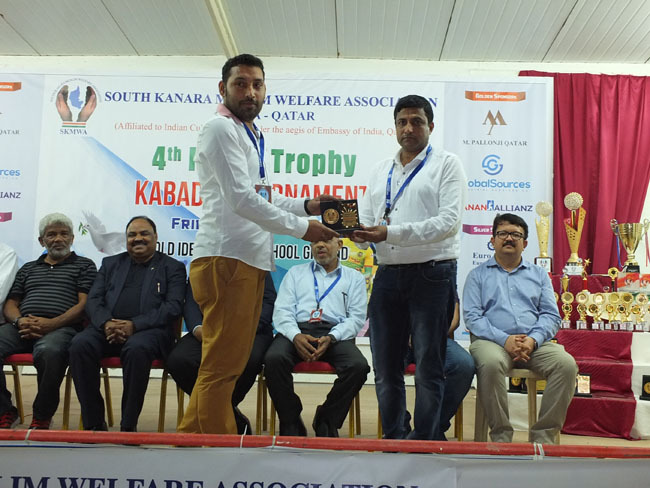 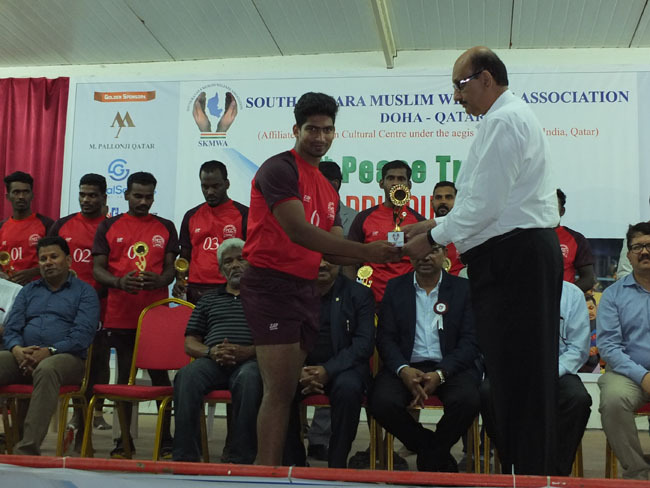 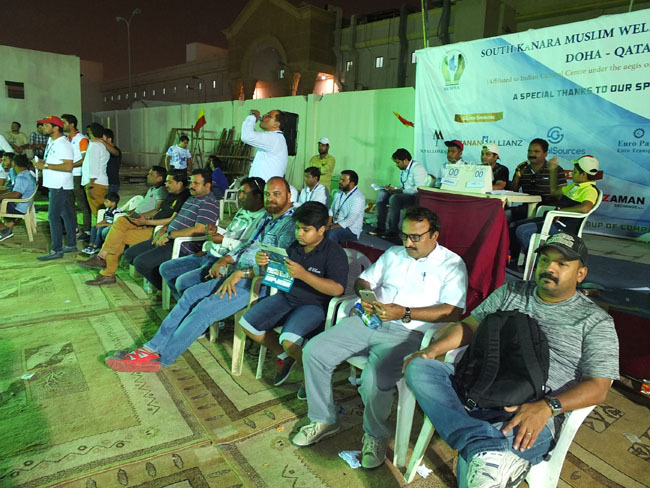 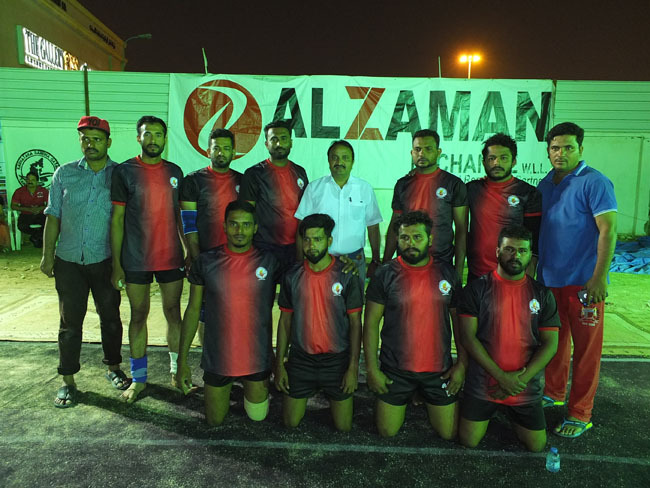 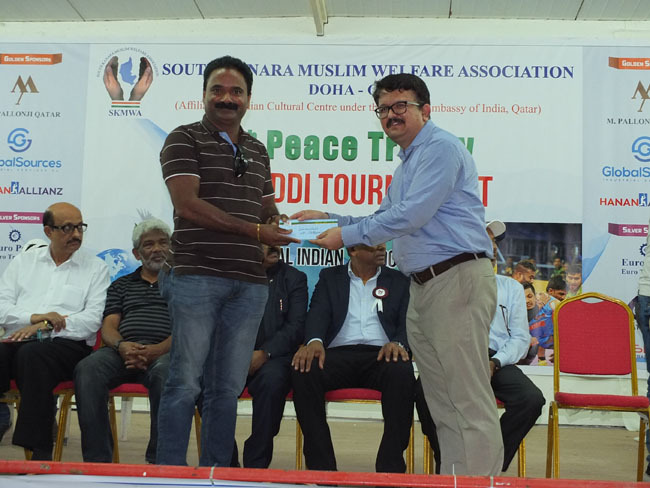 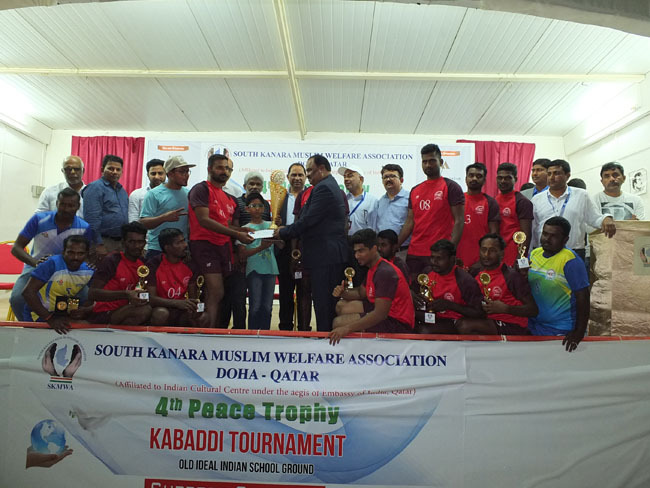 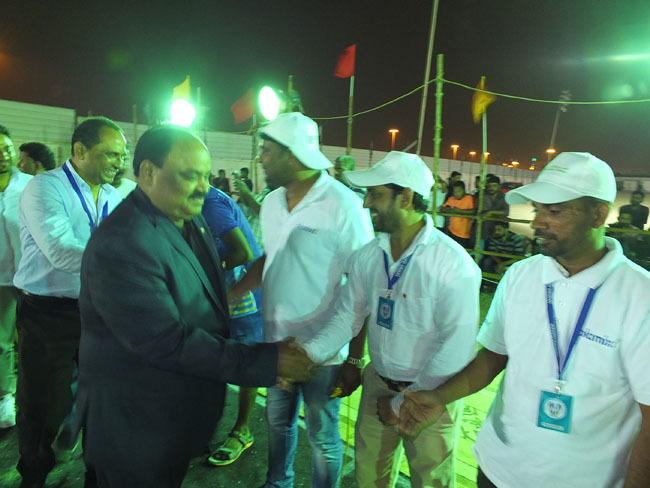 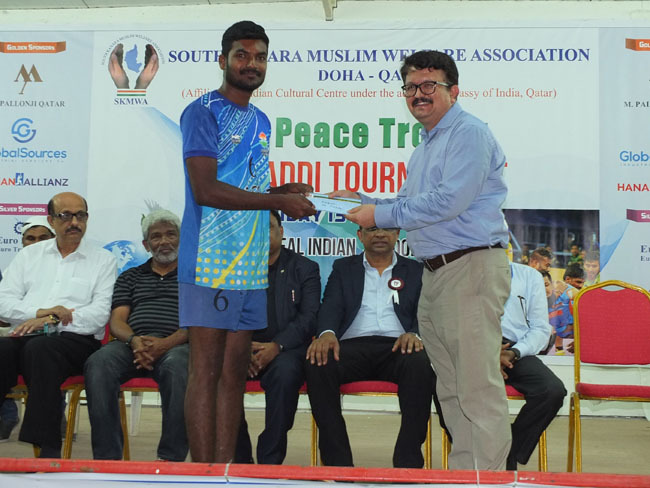 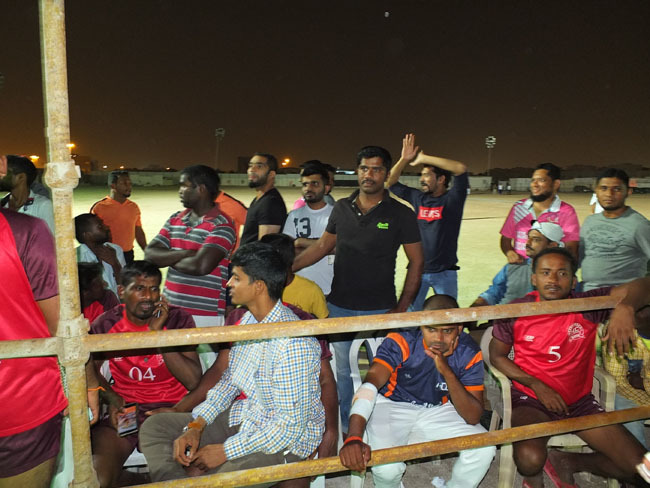 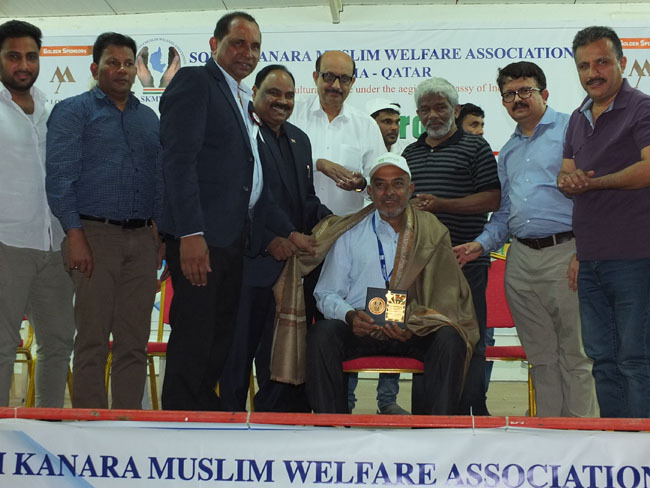 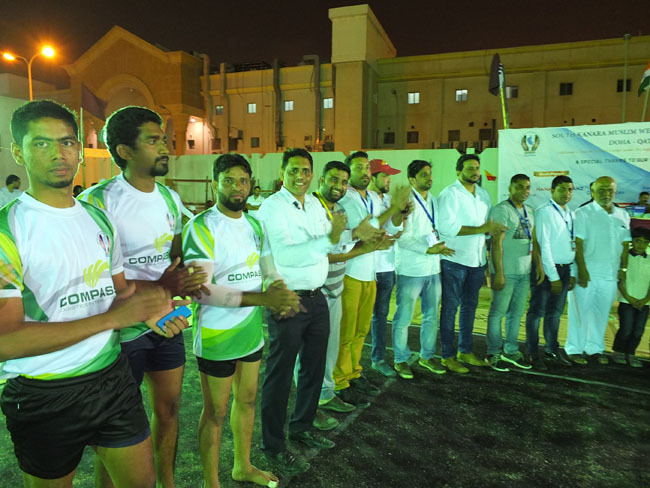 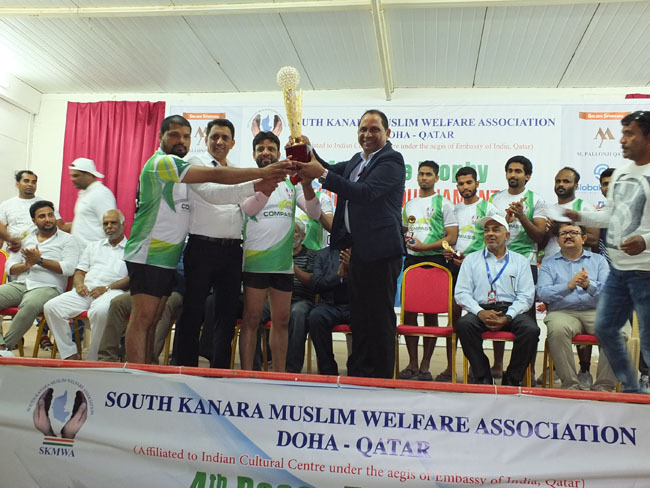 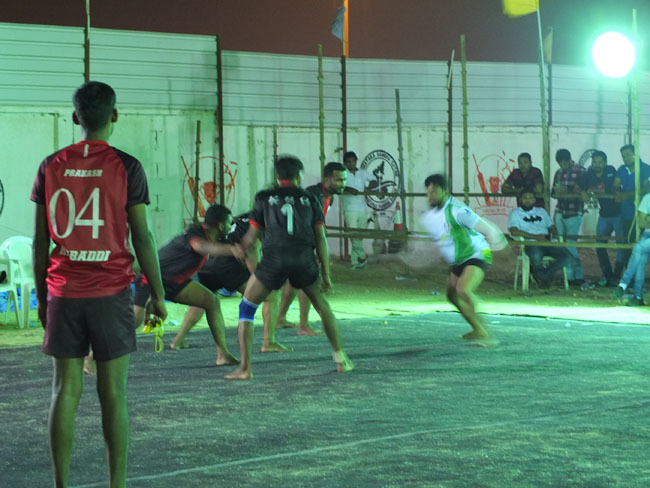 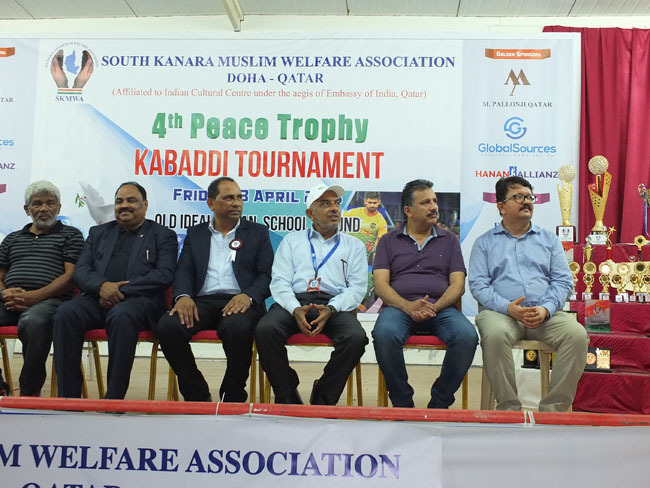 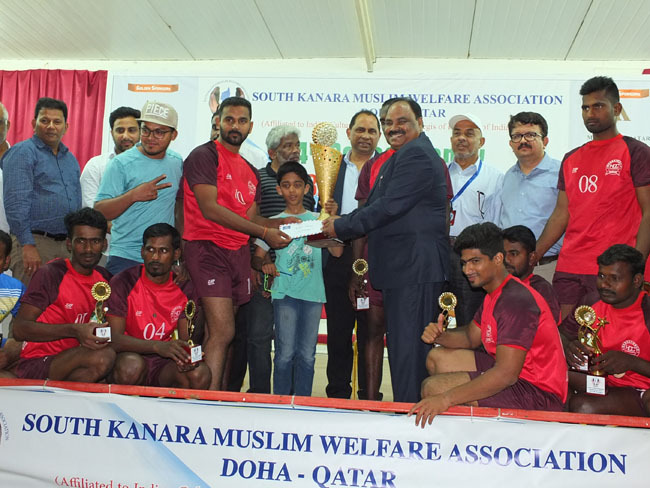 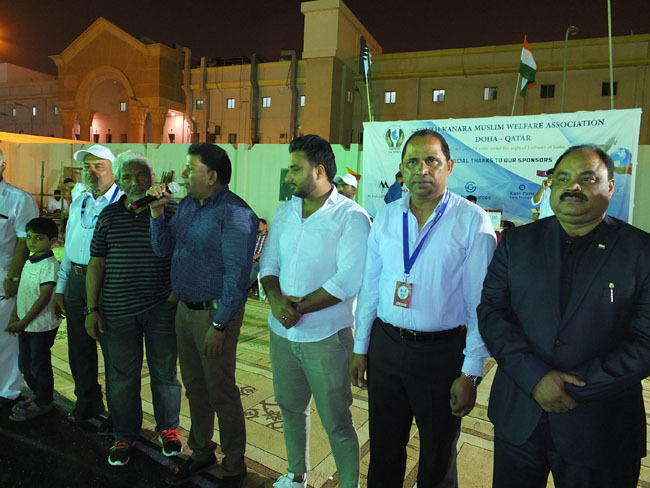 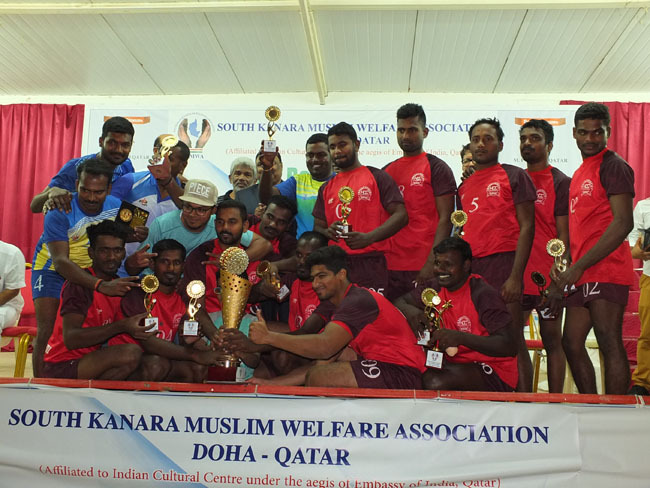 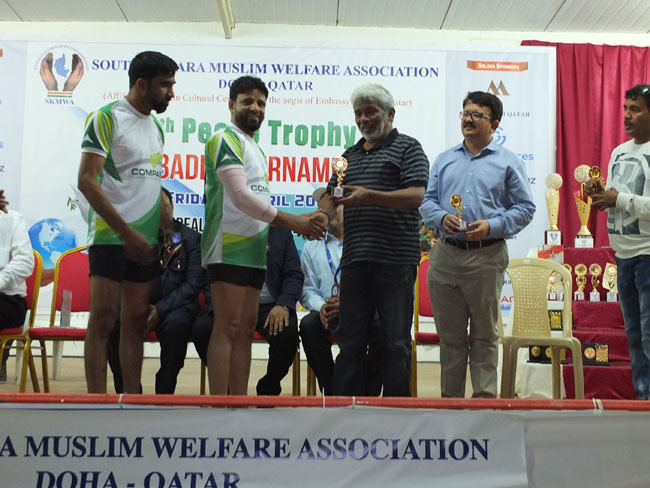 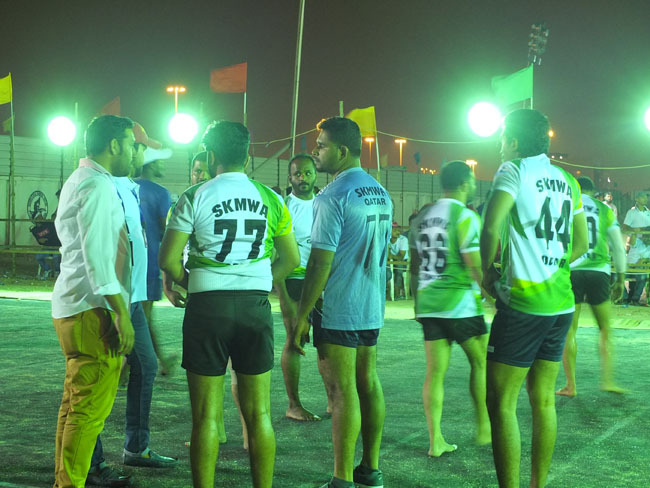 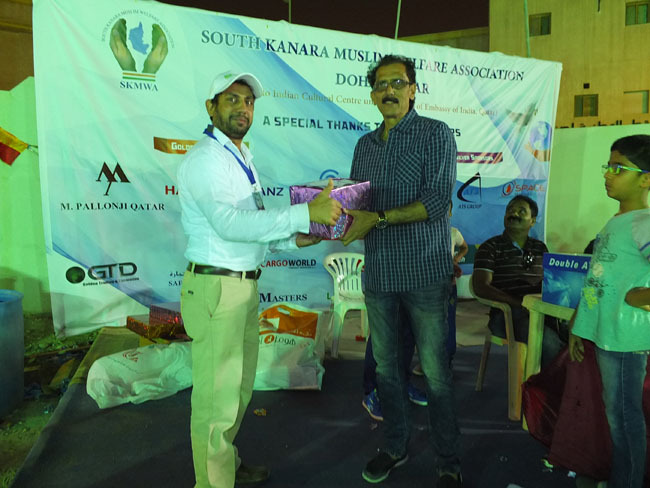 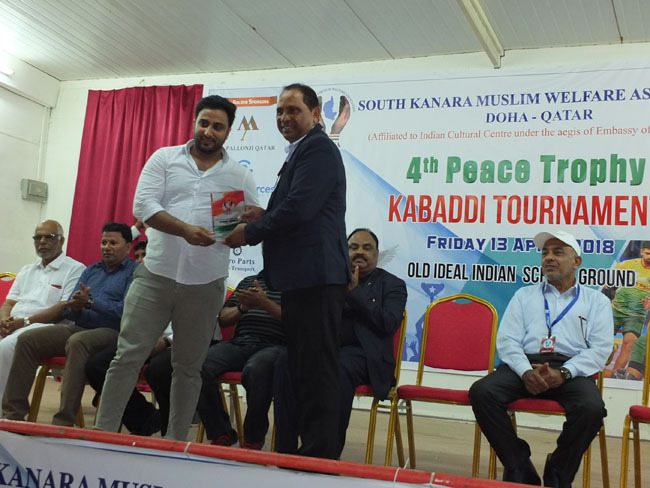 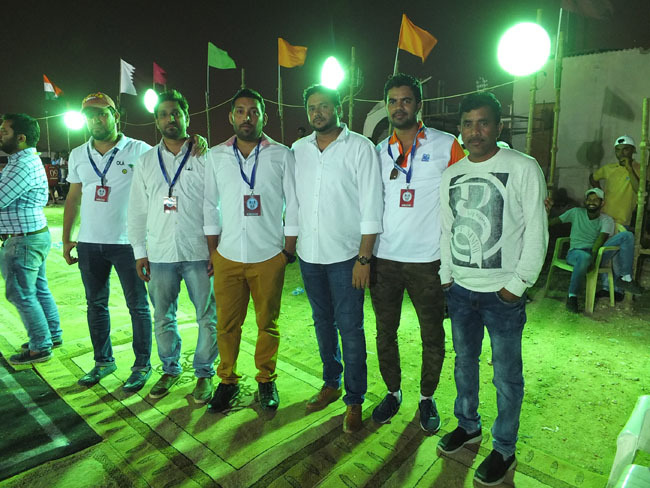 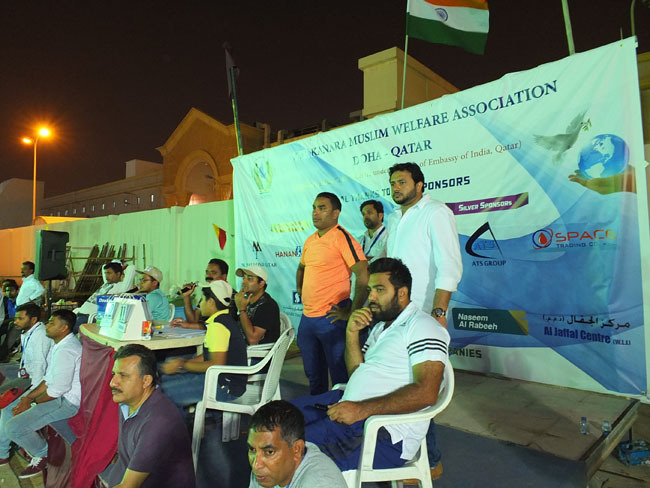 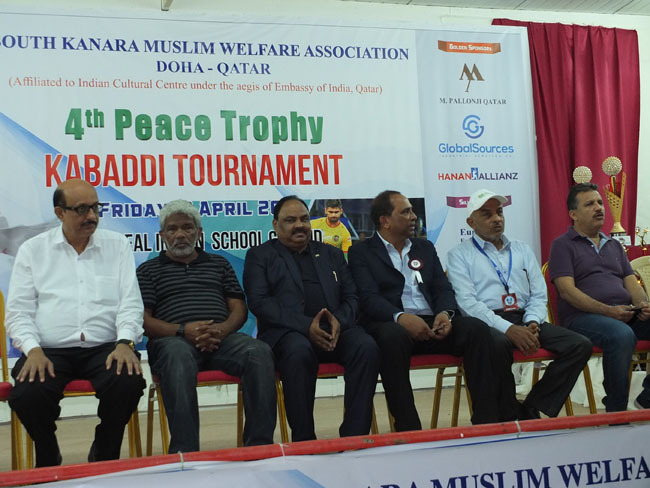 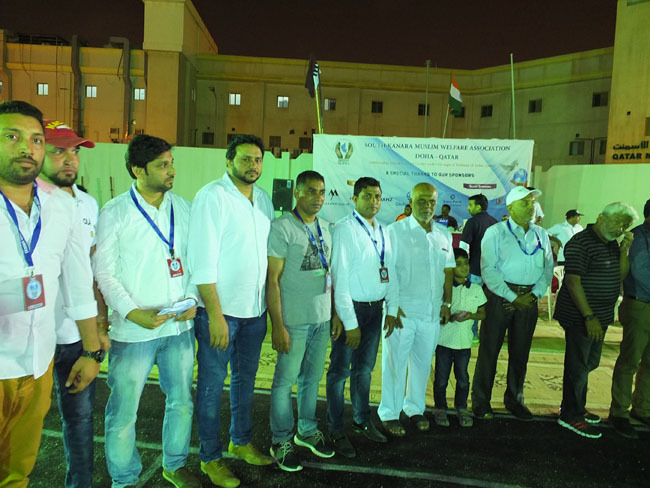 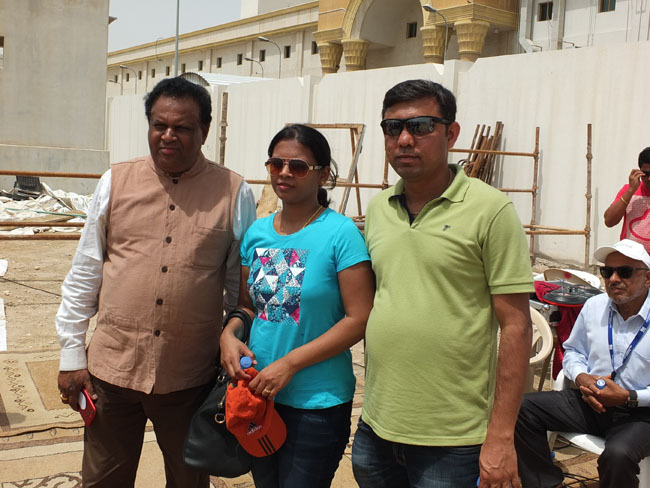 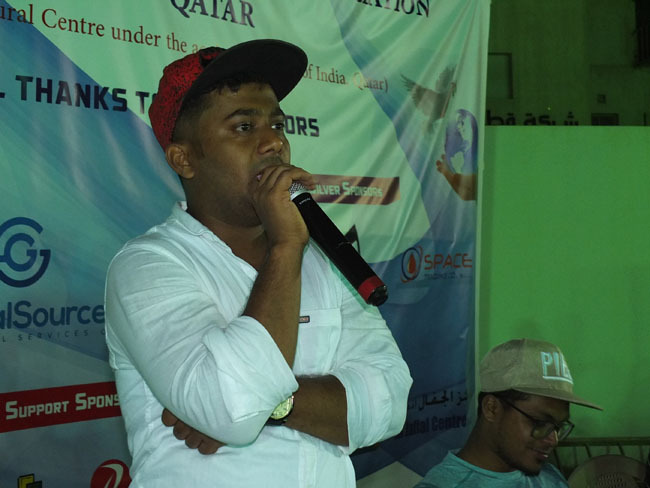 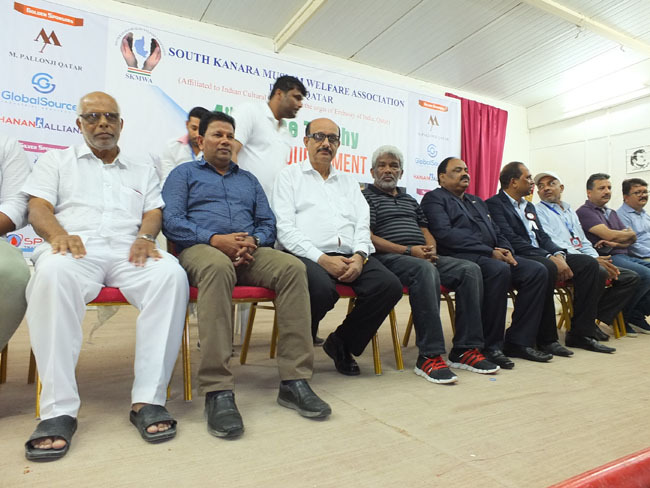 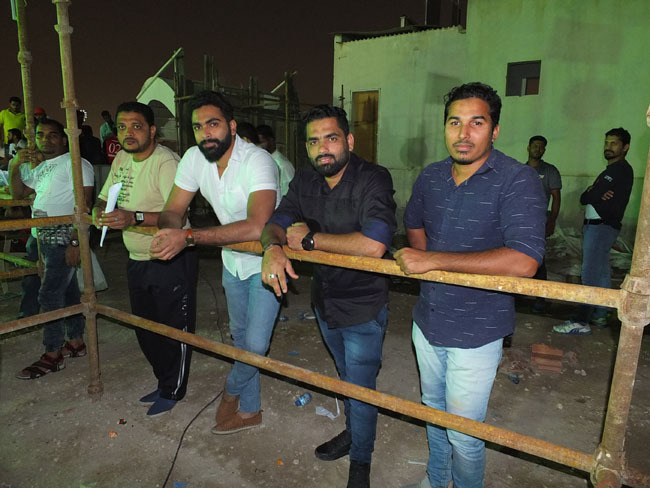 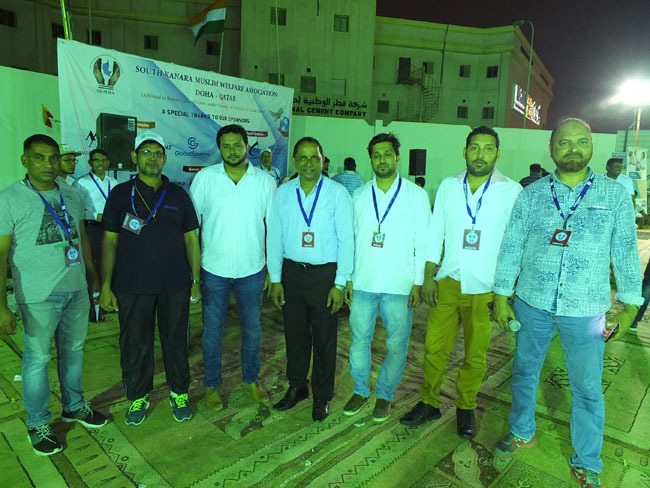 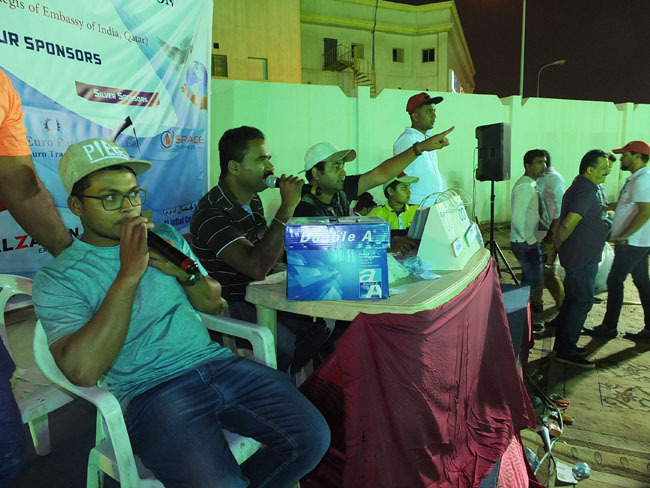 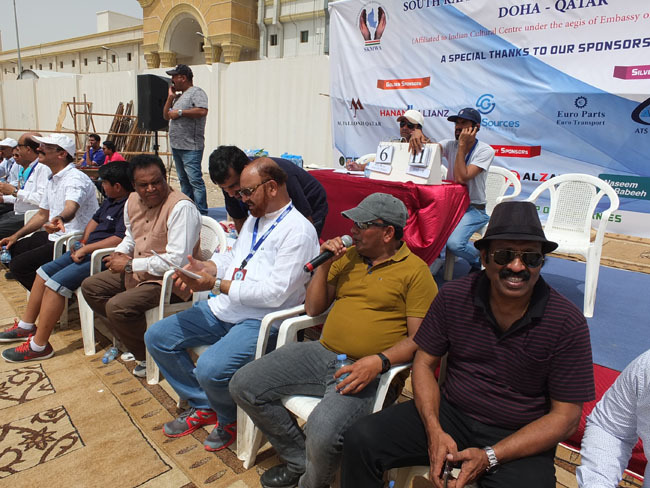 Doha/Qatar, 15 Apr 2018: South Kanara Muslim Welfare Association (SKMWA), organized fourth Kabaddi Tournament, Peace Trophy-2018 at Ideal Indian School, here, on Friday, April 13. 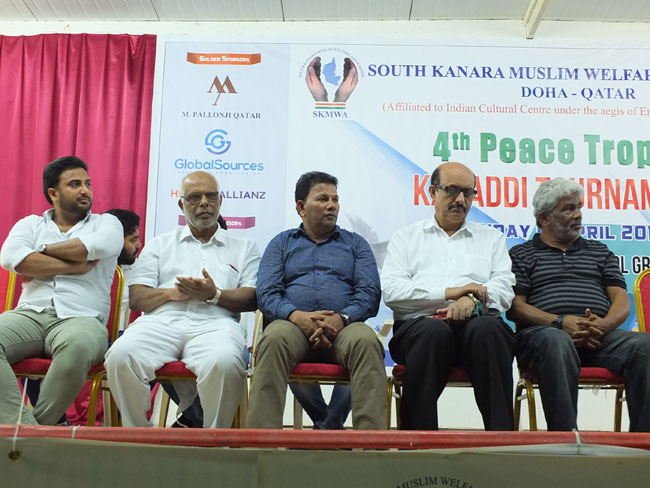 The event commenced at 8:00am, wherein SKMWA president Abdul Majeed Abbas Moodbidri delivered the welcome address and released the white doves, symbolizing peace to reign in the world. 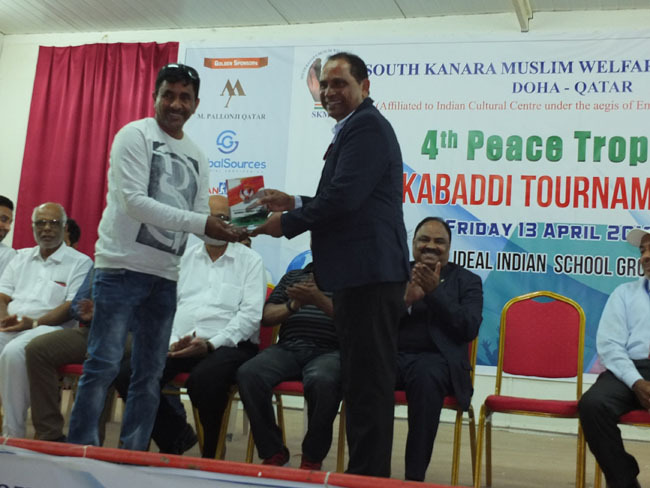 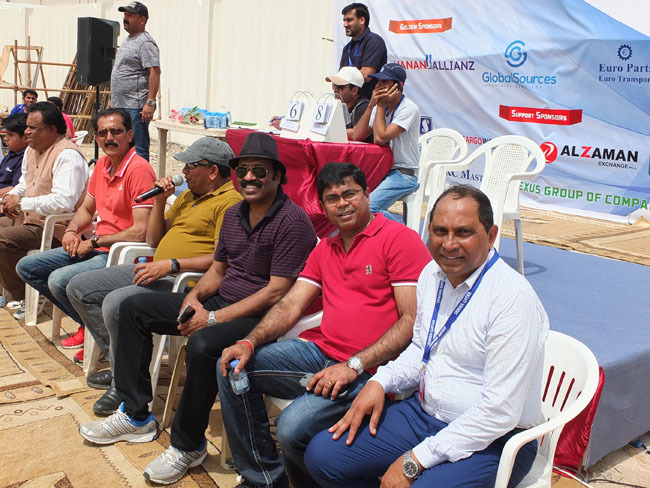 Well known entrepreneur and a humanitarian Ravi Shetty and office bearers of different communities Associations hailing from Karnataka were the chief guests. 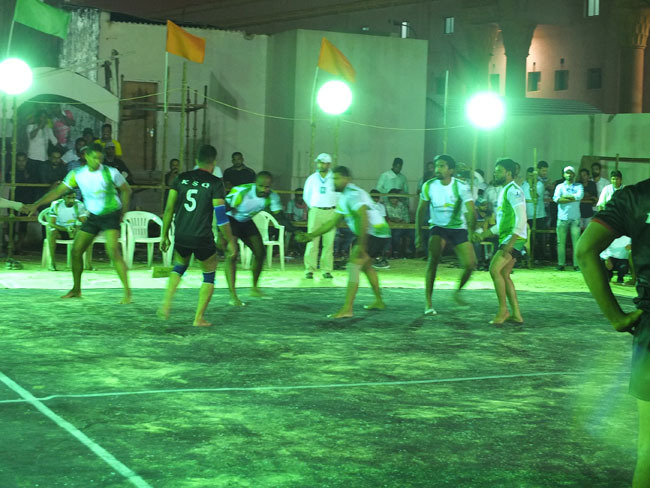 After the Kirat, prayers, Kasim administered oath to participants of Kabaddi tournament. 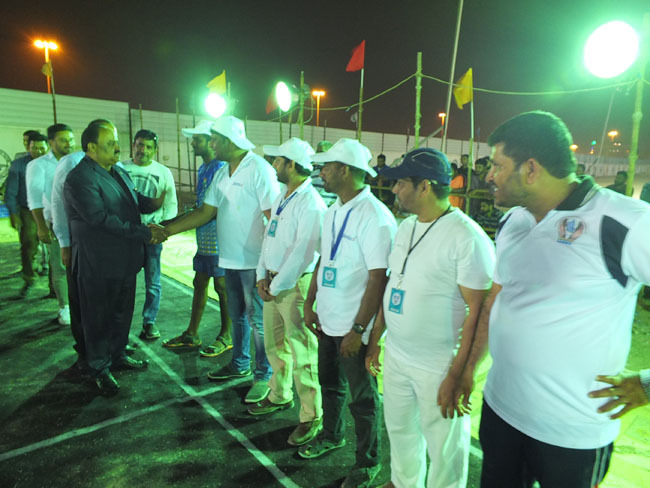 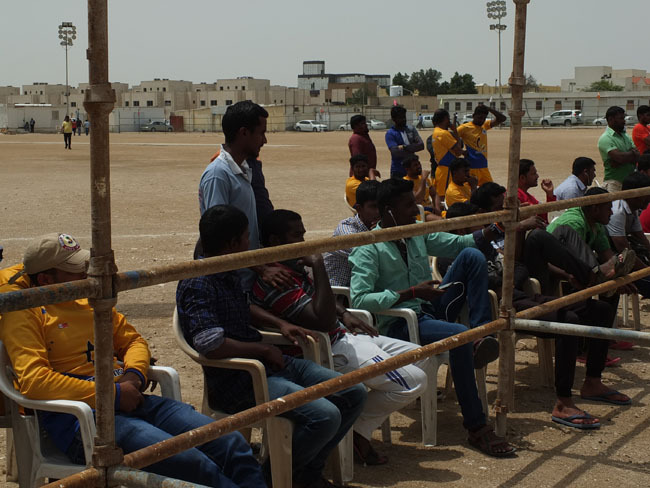 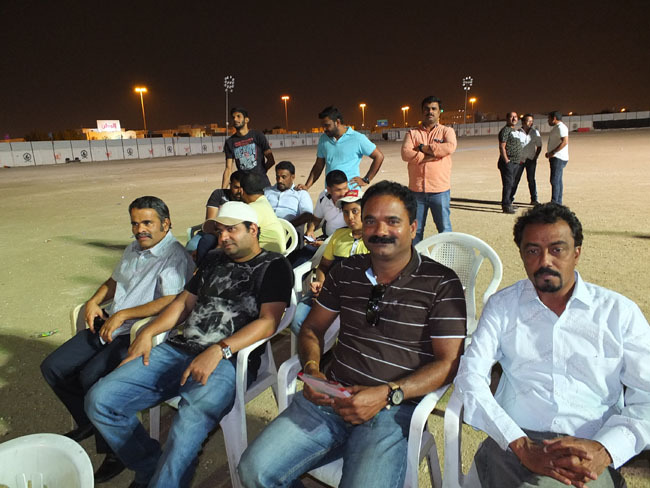 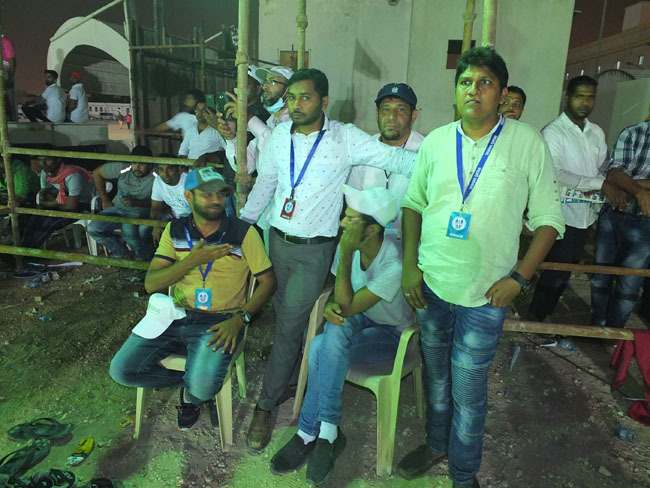 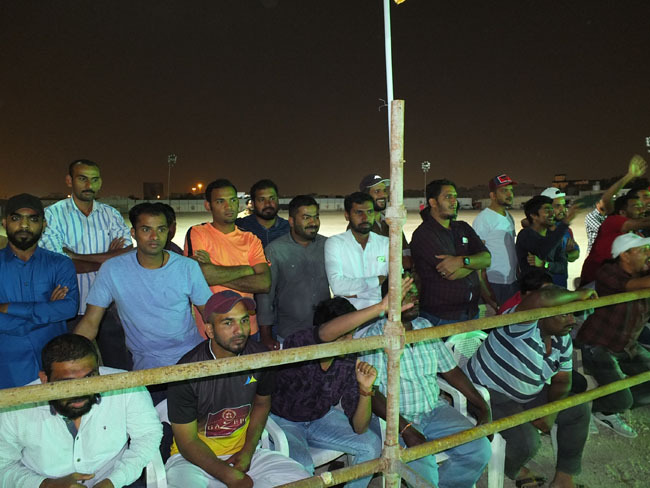 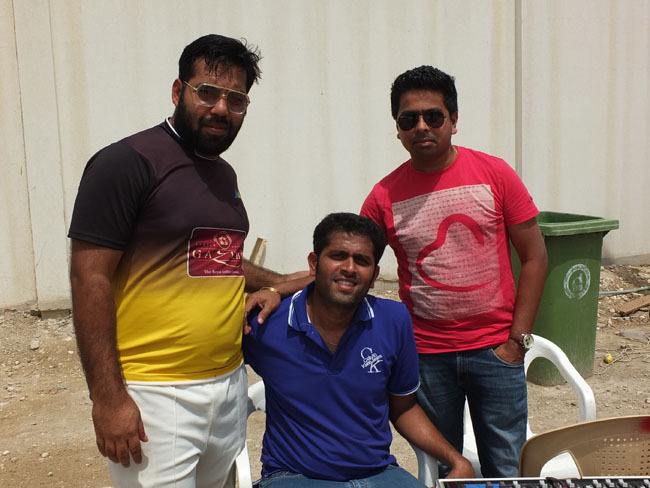 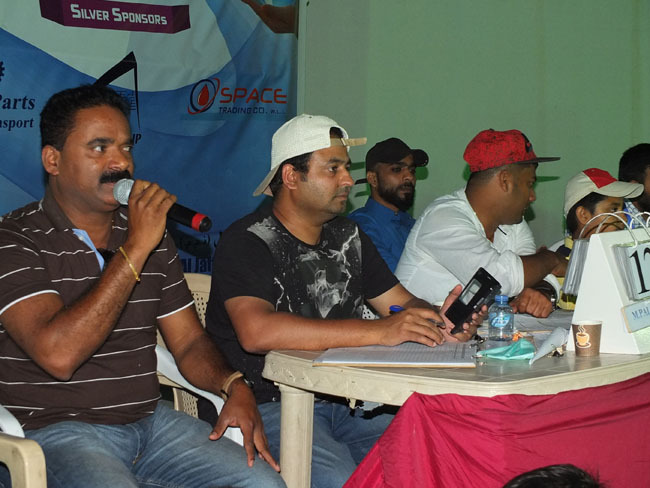 The participants competed with full sportsmanship spirit keeping the spectators amused throughout the tournament. 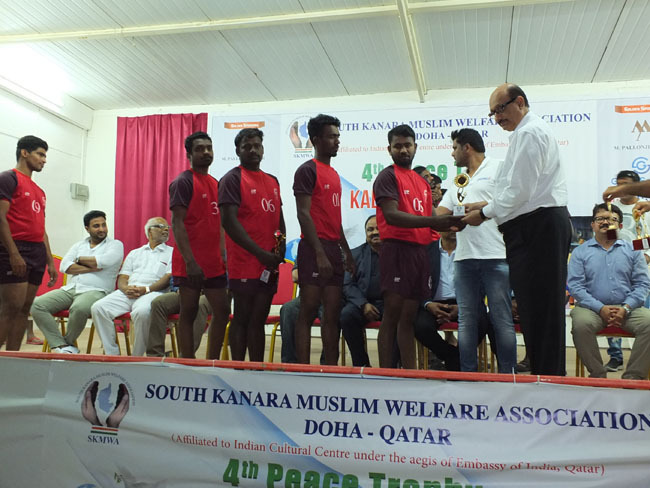 KM won the first place and SKMWA were the runner up. 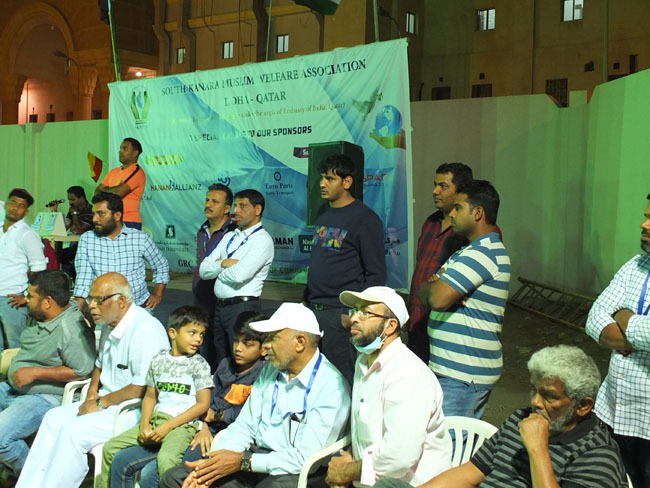 The tournament was concluded with prize distribution ceremony at 10.00pm. 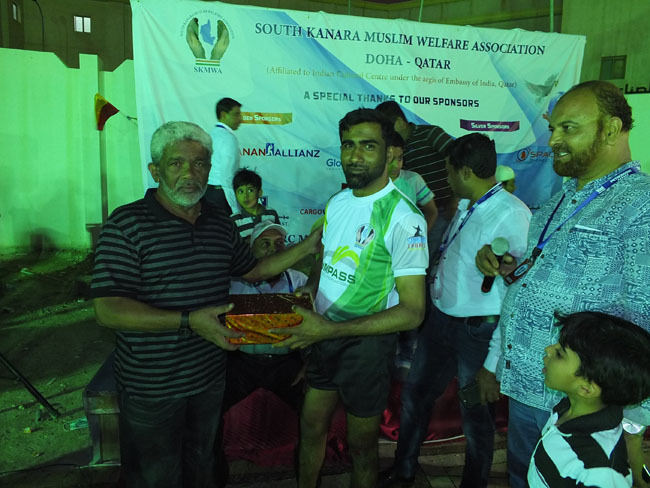 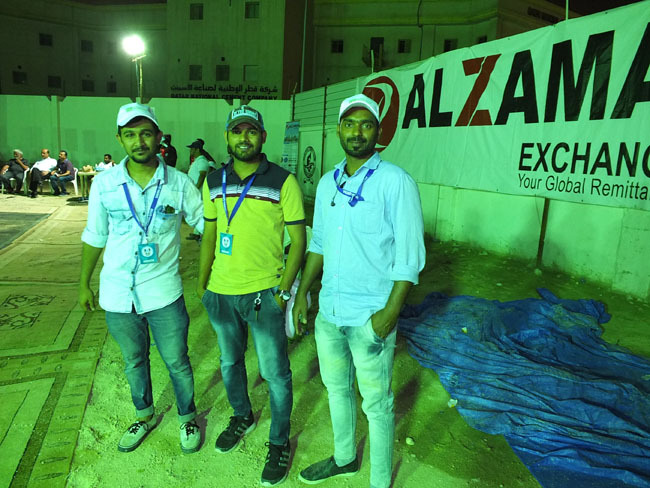 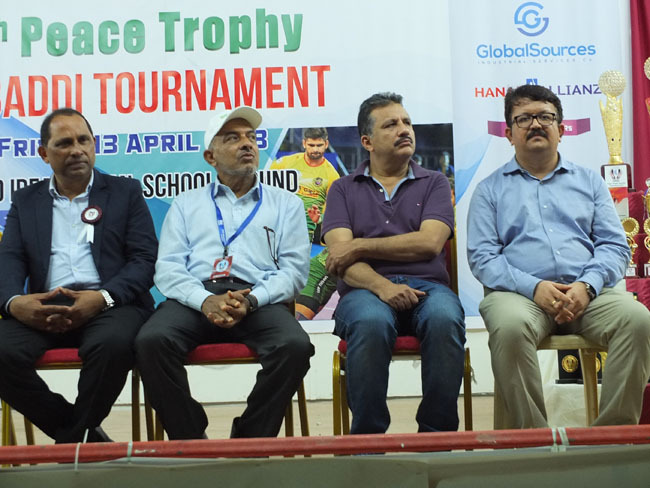 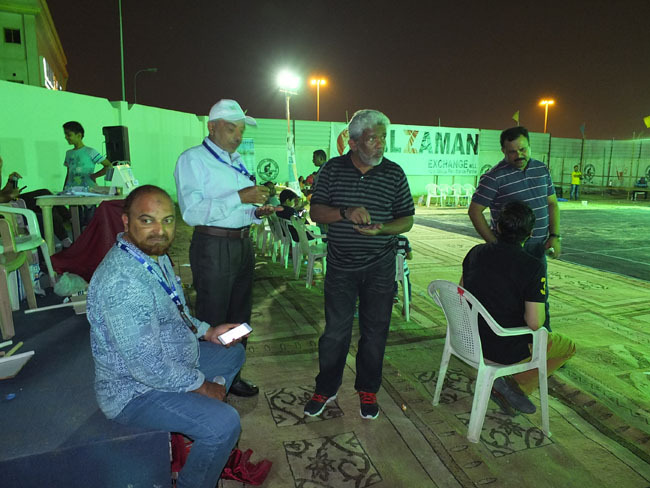 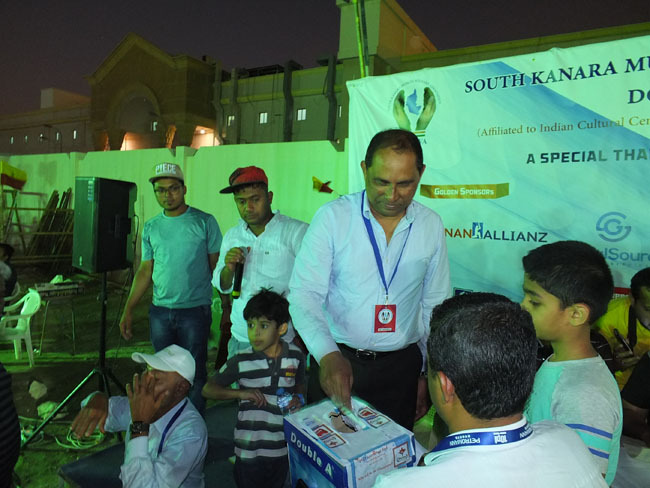 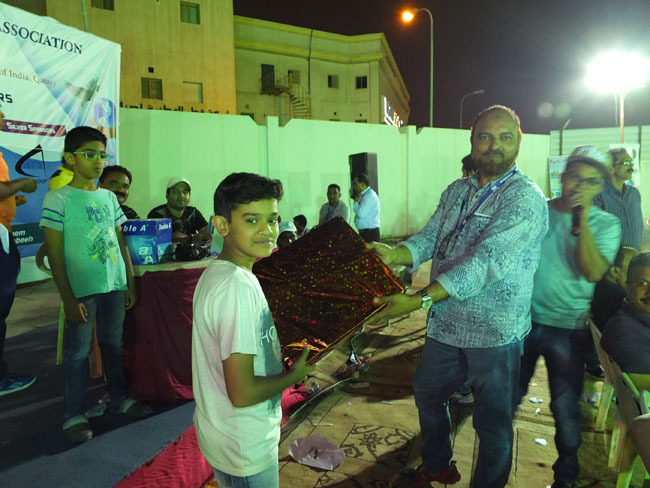 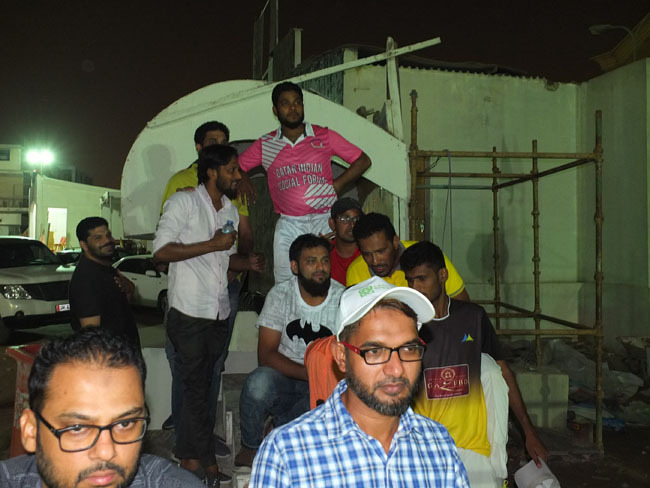 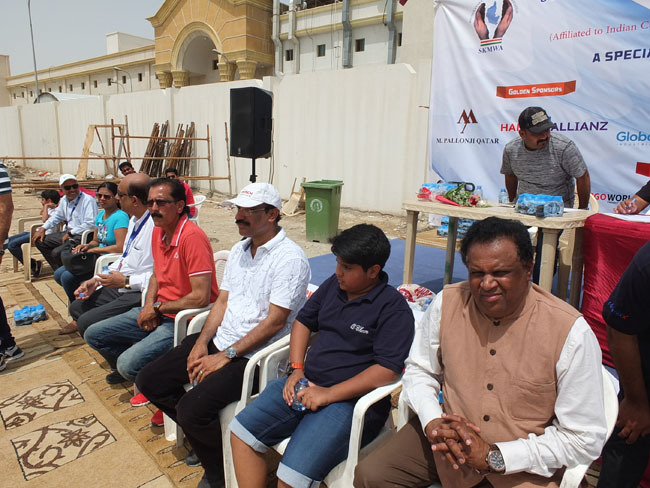 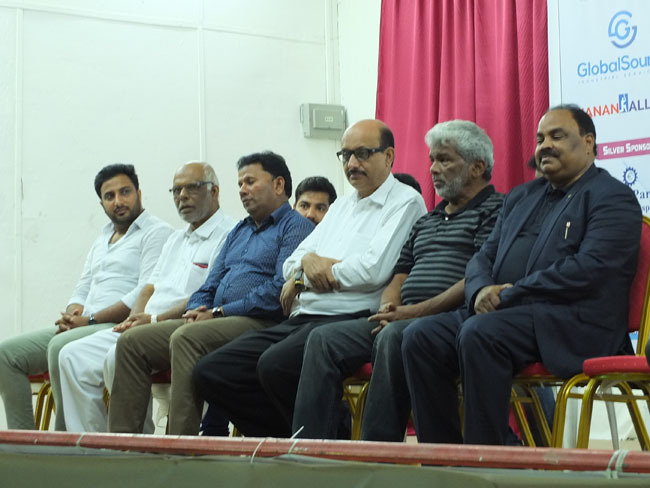 Well known humanitarian Habeeb Nabi was facilitated for his stewardship of the Tournament by SKMWA president Abdul Majeed Abbas and Committee members Firoz, Ibrahim Beary, Sameem and others. 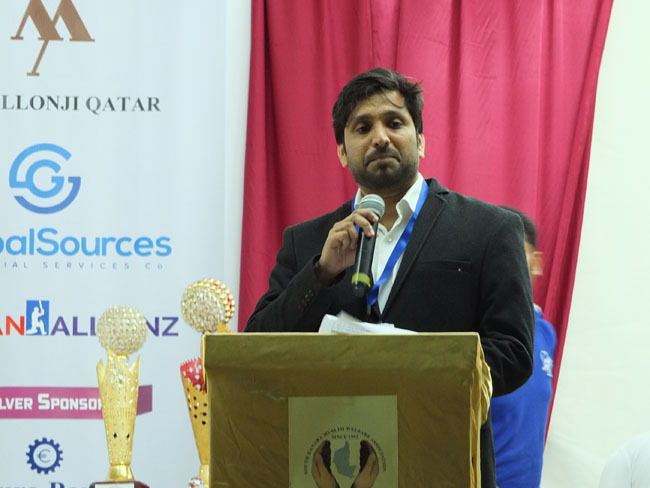 Rizwan compered the prize distribution ceremony, while SKMWA secretary Abdul Sattar proposed vote of thanks. 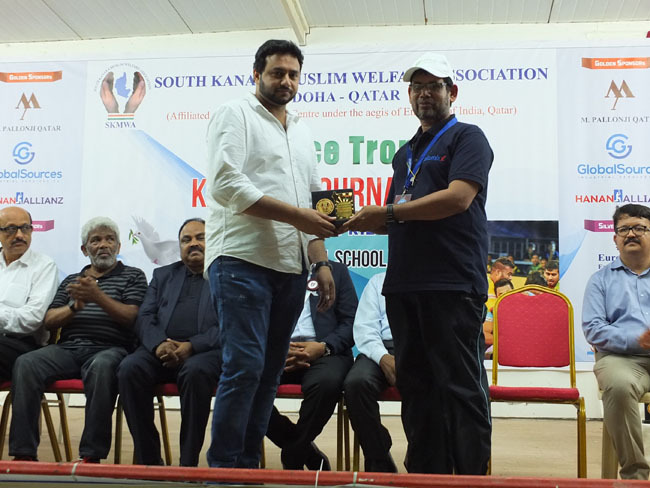 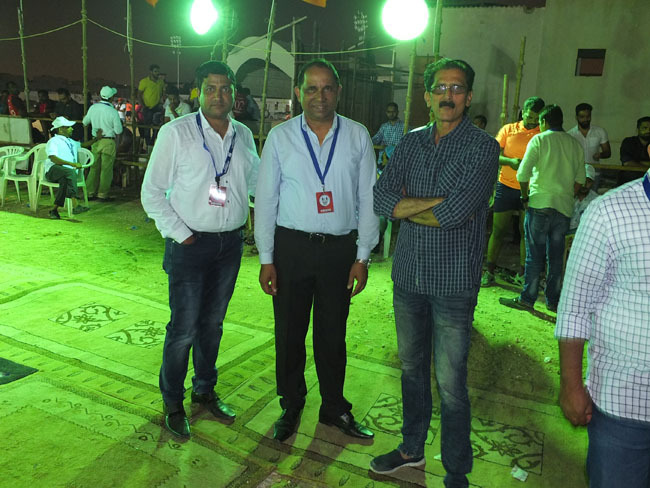 SKMWA thanked all the members who put up such an event in order to bring tranquility amongst the folks of Karnataka building homely environment far from home.